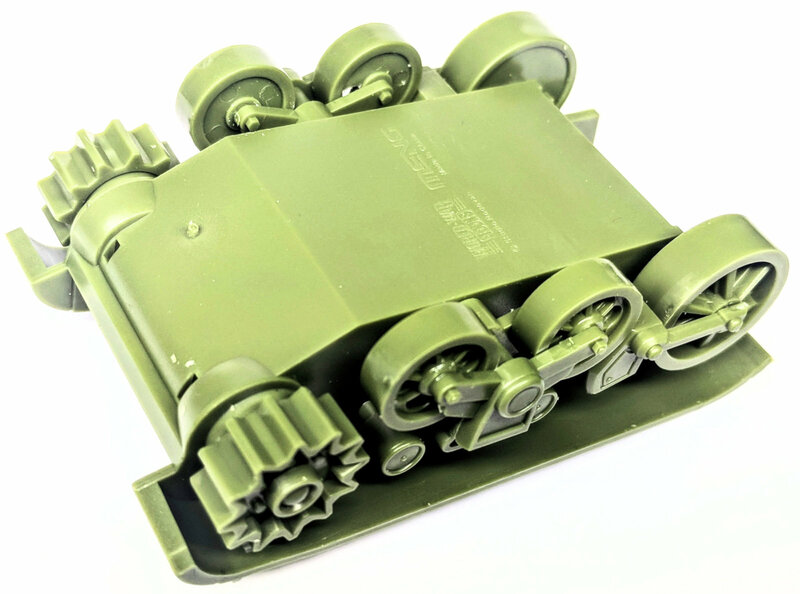 injection-plastic military vehicle model kit. 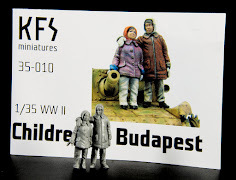 Many of us are taken with the "Cute", "Egg" and "tiny" family of models that are caricatures of the real thing. 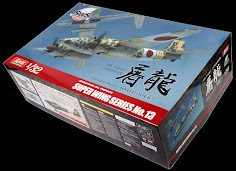 I know that I first saw these weird kits in the Hasegawa "Egg"(tm) series of kits of their WWII and jet fighters. 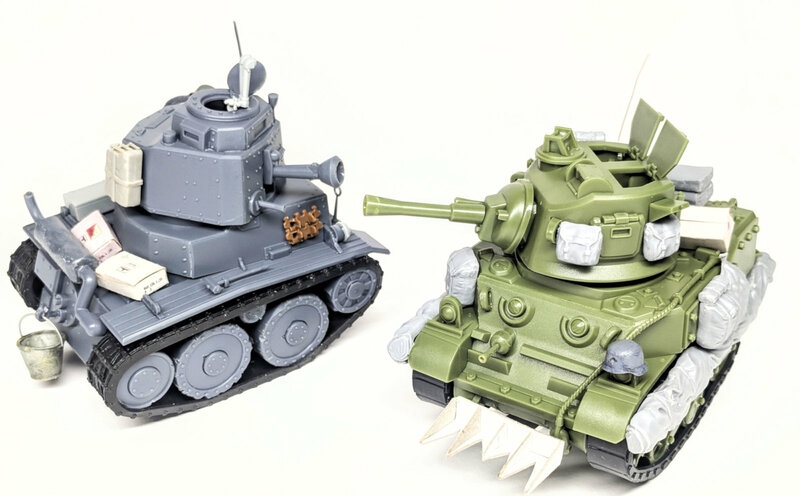 Others have jumped into the fray, with Ebro and Tiger model making these dysmorphic shaped models, ships, subs and tanks are even now on the menu with Meng's series of kits. 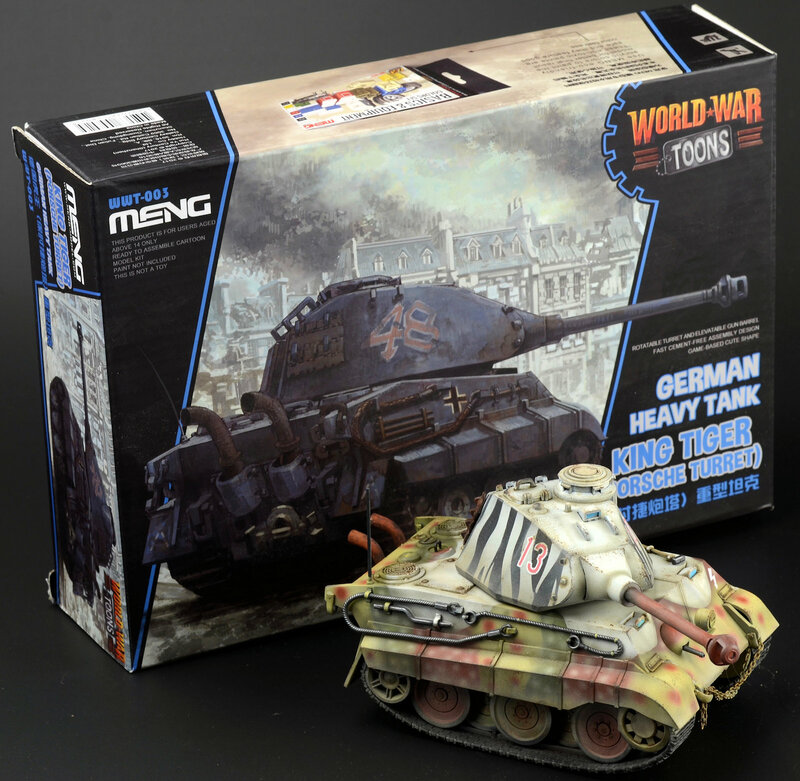 These take advantage of the designs of the tanks from the popular game World War Toons. 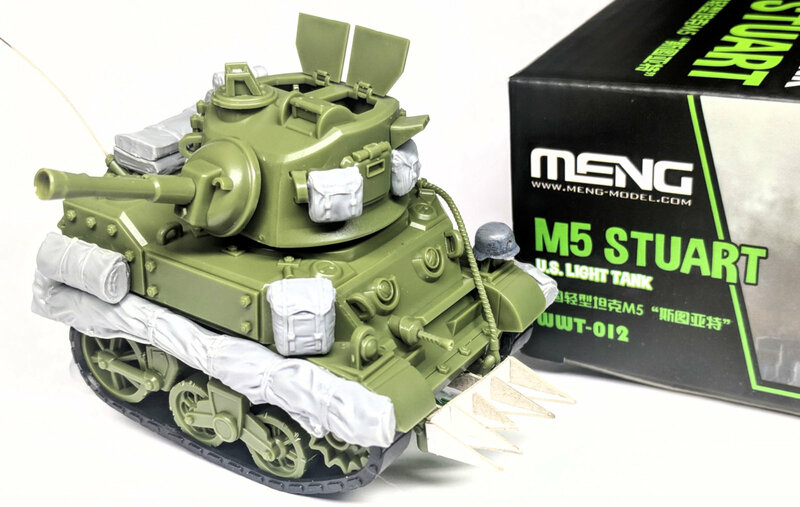 Meng Models did a very smart thing recently, they teamed up with Studio Roqovan to bring these designs to life in plastic. 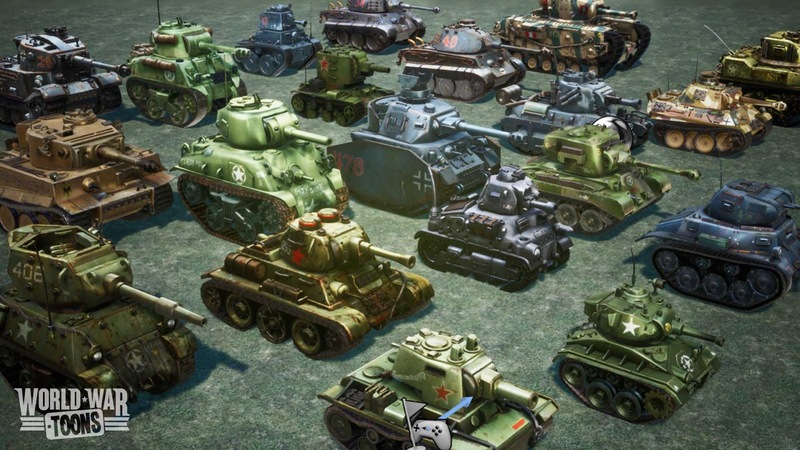 From this, we have had Tigers, Panthers, T-34's KV-2's, Shermans and Stuarts to name a few. 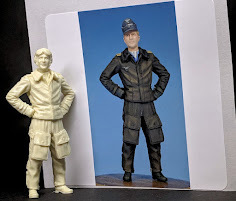 There will be many more to come by the look of it, and we love to see these designs and to be able to create our own cartoonish version of these cartoon figures. 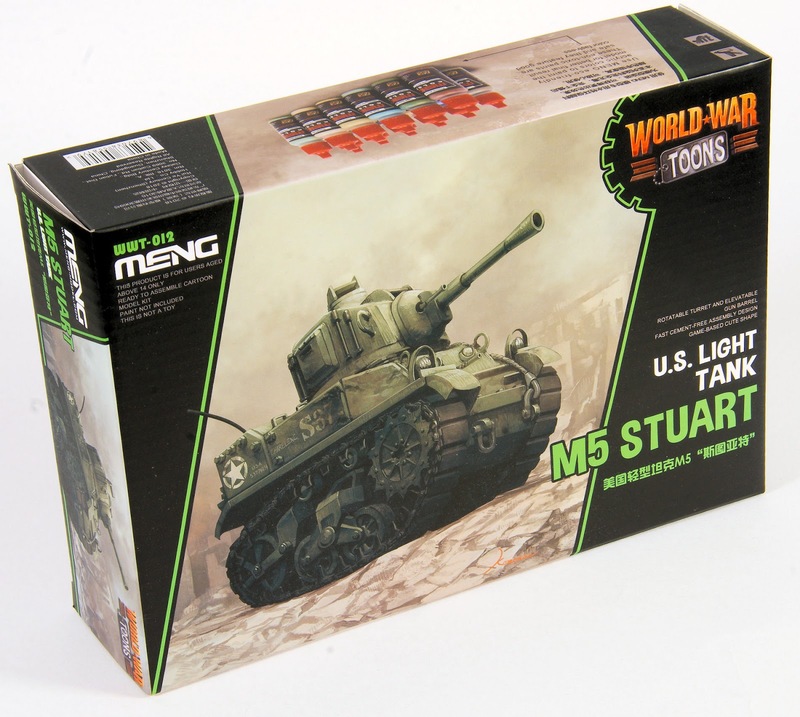 Today we have an American light tank from WWII - the Stuart M5 tank to build, and hopefully, make into something even better than we find in the box. We have already built four of these kits here at TMN. 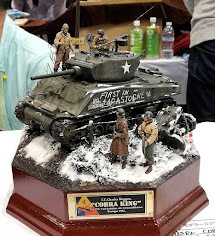 Clayton has shown us his guide of the King Tiger as well as the KV-2, while Andy has given us the dual build of the Tiger I & M4 Sherman tanks where they showed us how to get the most out of the kits. 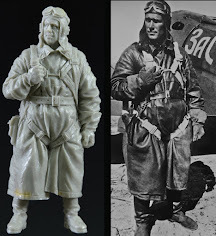 These kits are a simple affair, and no real thoughts about accuracy are a concern of anyone that would make them I would think. Whether they have the idiosyncrasies of the real thing that is highlighted in these kits. 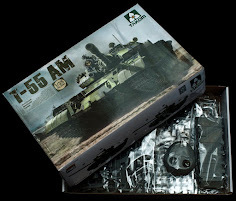 The kit itself comes in a little sturdy box with an end-opening that the model, in a single plastic bag comes out from. We will attempt to climb that peak today - and maybe show us what we can add to the kit to show it's potential past a beginner's model. 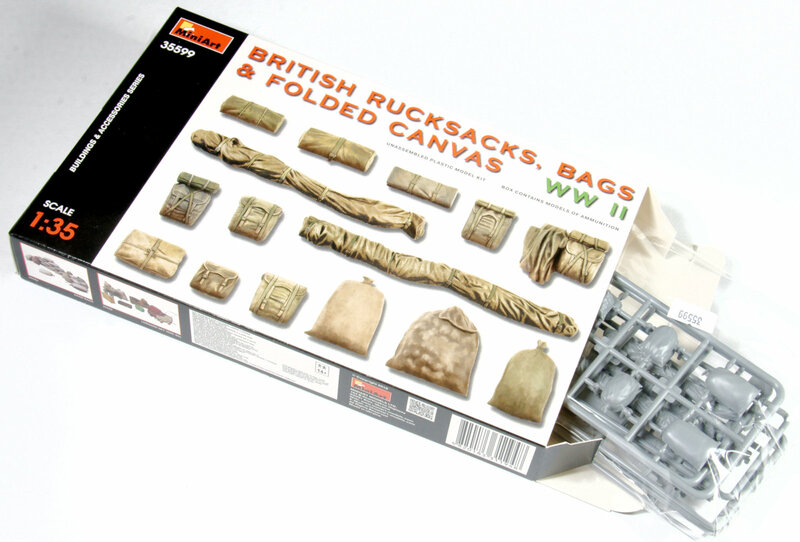 From the flap of an inside an end-opening box the kit comes, the contents sealed in a single plastic bag, though the size of the small sprues left no scarring on any of the sprues that are inside. 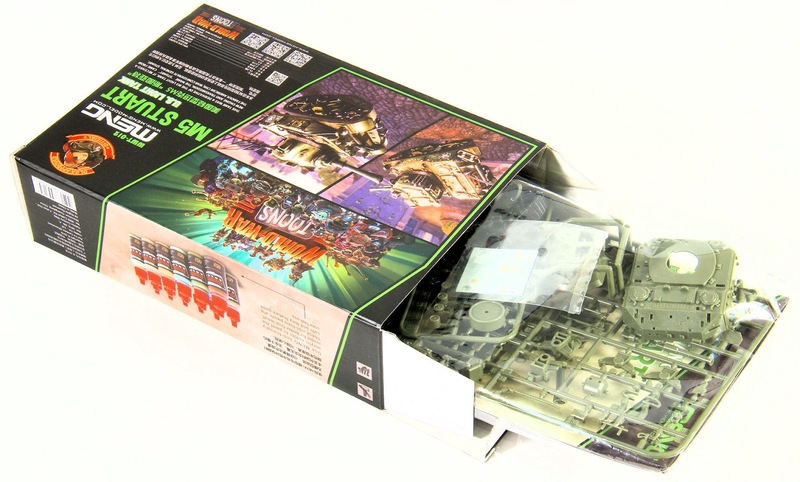 Inside the box are two sprues moulded in drab green, the top and bottom of the hull in one part, two black vinyl tracks, decals and a small full-colour instruction booklet. 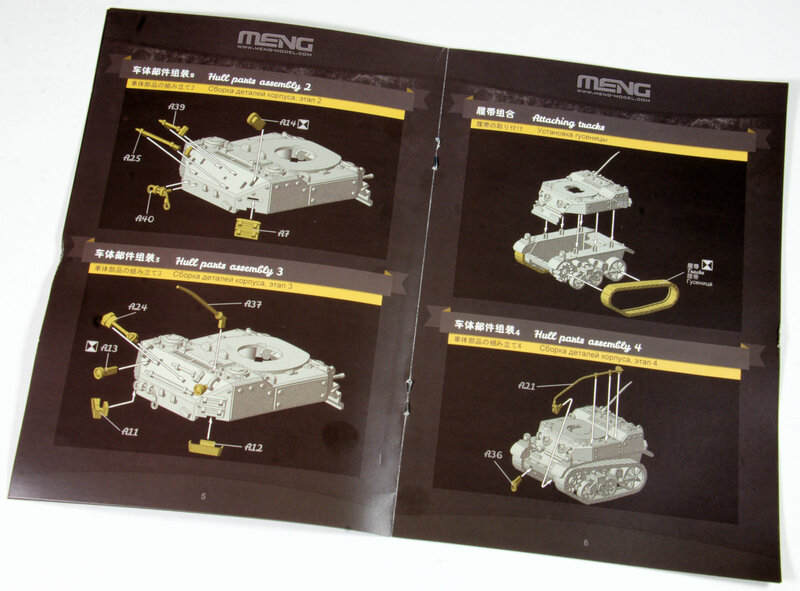 This booklet has a few languages that are used to help the modeller, but the snap together nature of this kit leaves little to the imagination as it falls together in ten simple steps. There is one painting scheme presented in the instructions along with a colour guide in AK Interactive colours. 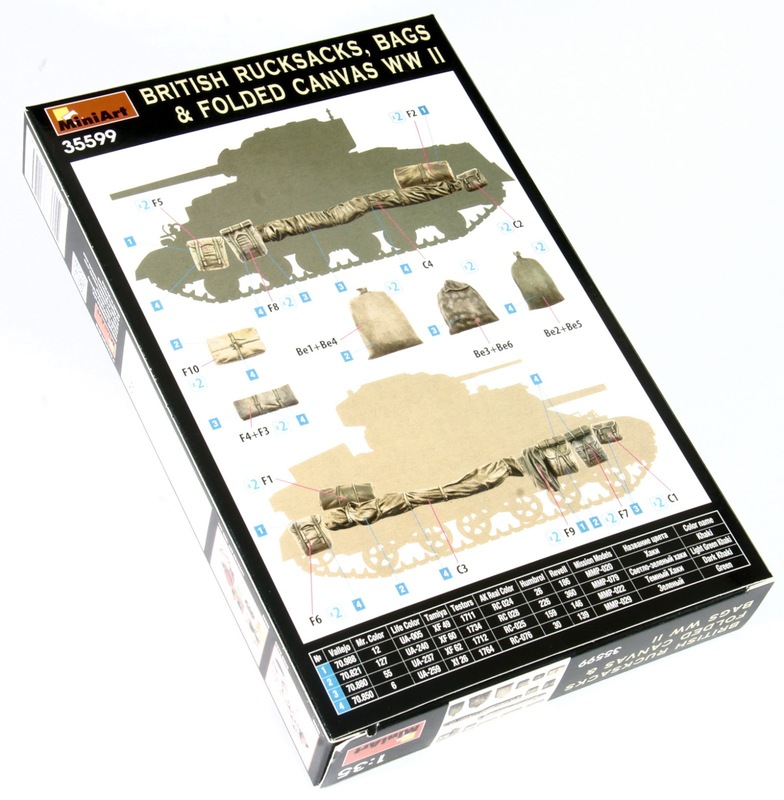 there is a small sheet of decals provided for this single paint option out of the box that are in good register and not opaque. The smarter, more enterprising of you out there will no doubt choose your own adventure. 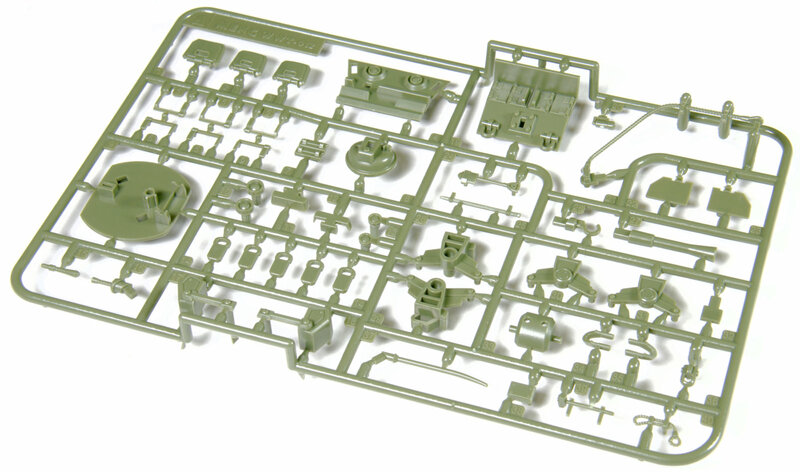 The medium green olive sprues are nicely moulded with lots of detail, not much in the way of flash, ejector pin marks or other flaws to clean up. 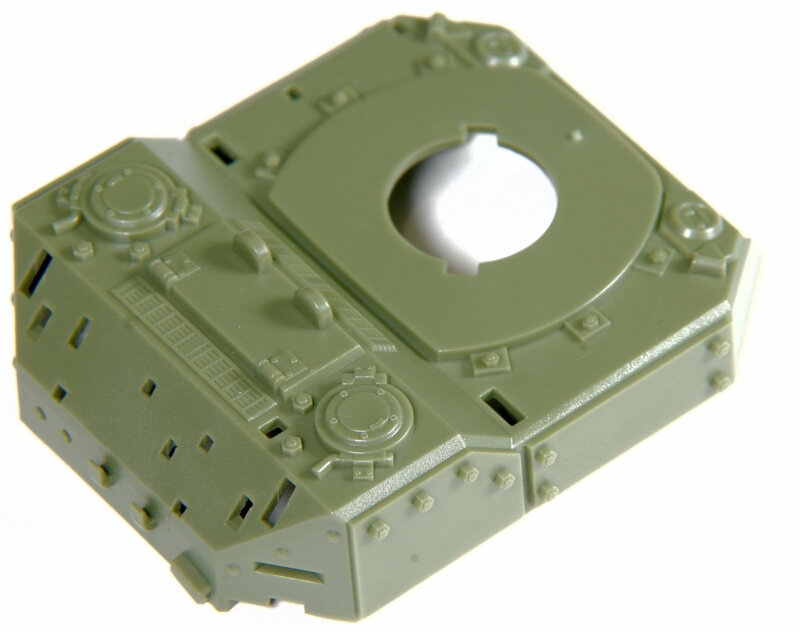 The connection points could do with the "Gundam" method of joining the parts in the rear of the part instead of the exposed edge, especially seeing that lots of beginners or lower skilled individuals (like me) will be making this kit. 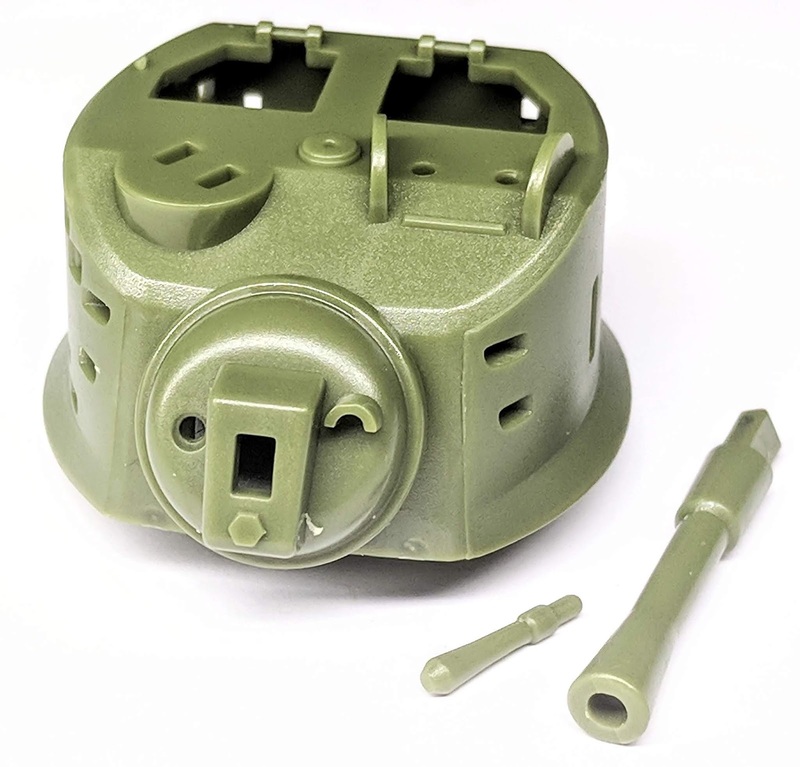 Although I mention the connection points could be a moulded a little smarter, the smaller sprue of the two houses the turret that has been moulded with a lot of thought going into the connection points on this part. 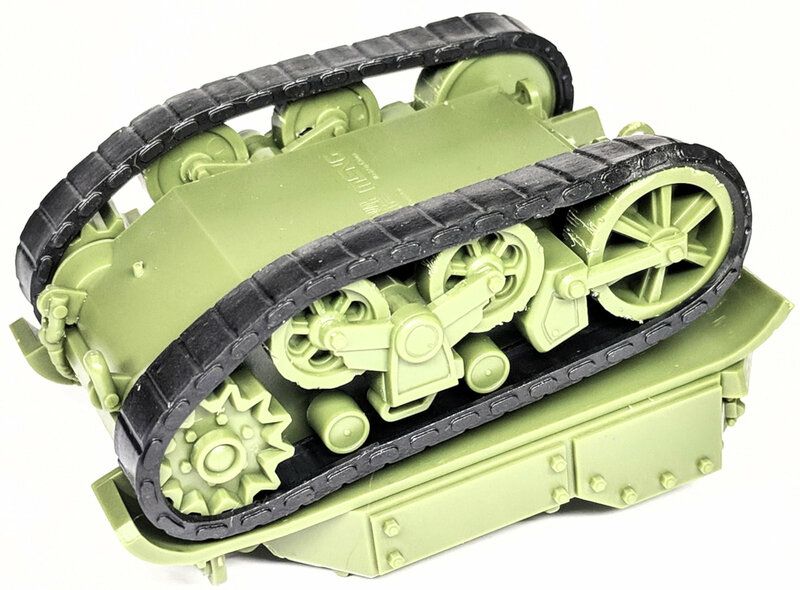 Slide moulds on models like this huh? Haven't times changed? 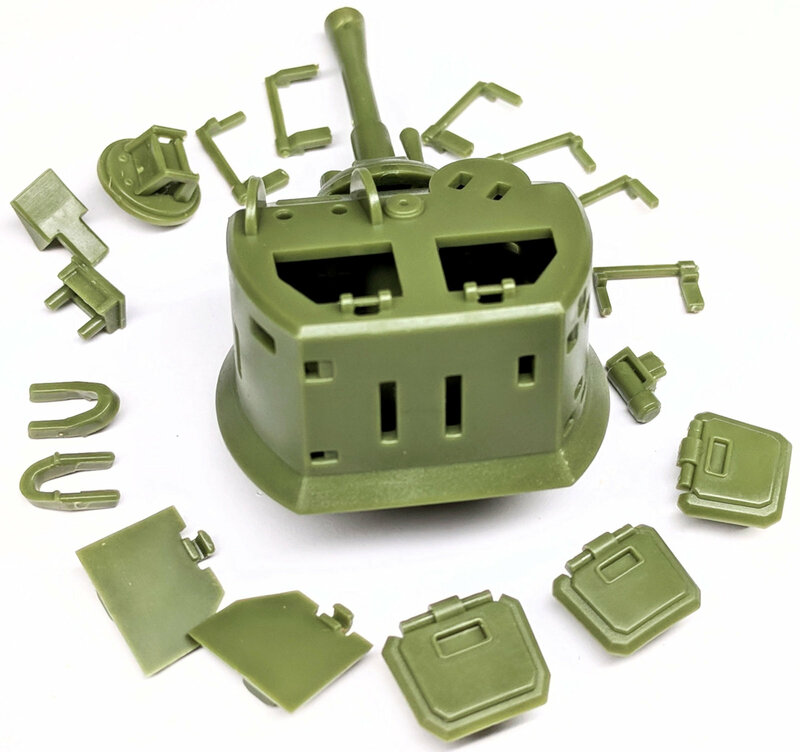 The lower hull is all one piece with large prominent "cross" shaped connectors to simply pop together with the upper hull. 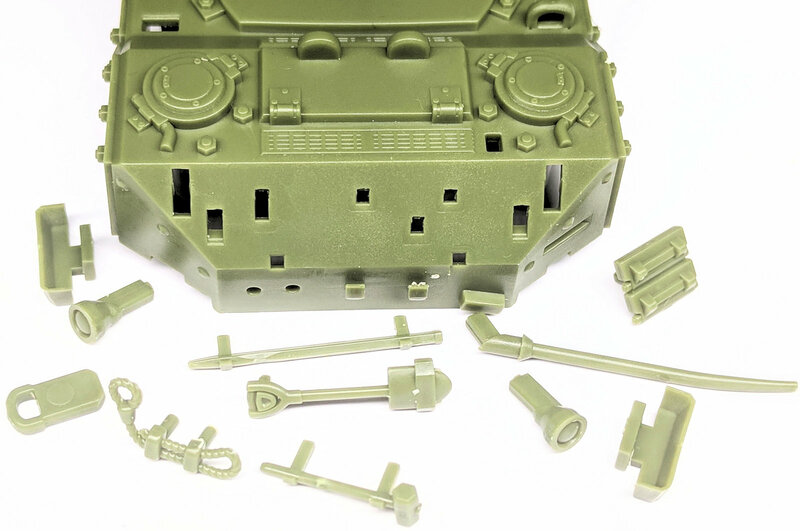 The bottom illustrates the same connectors to secure the suspension of the tank. 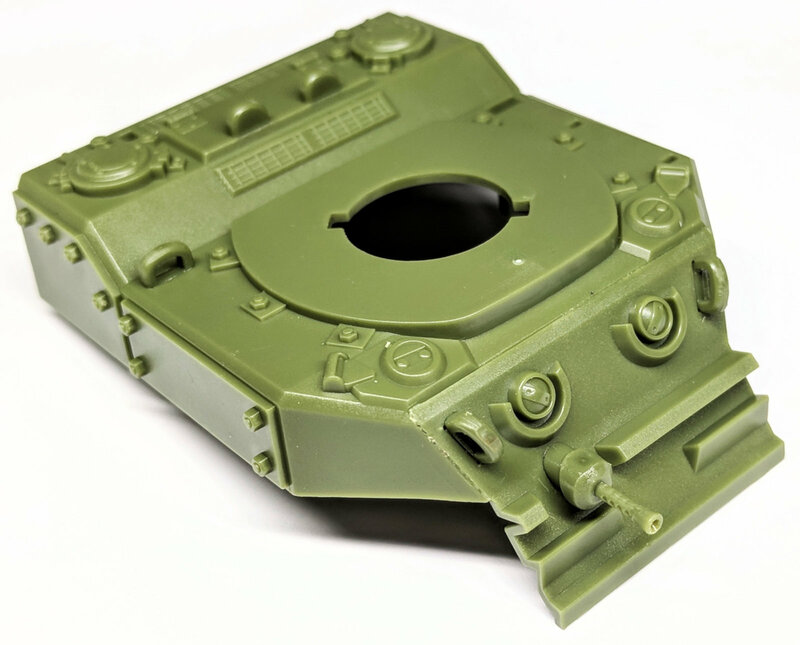 The top of the tank's hull simply sits on the lower half without glue and pushes to a tight fit. 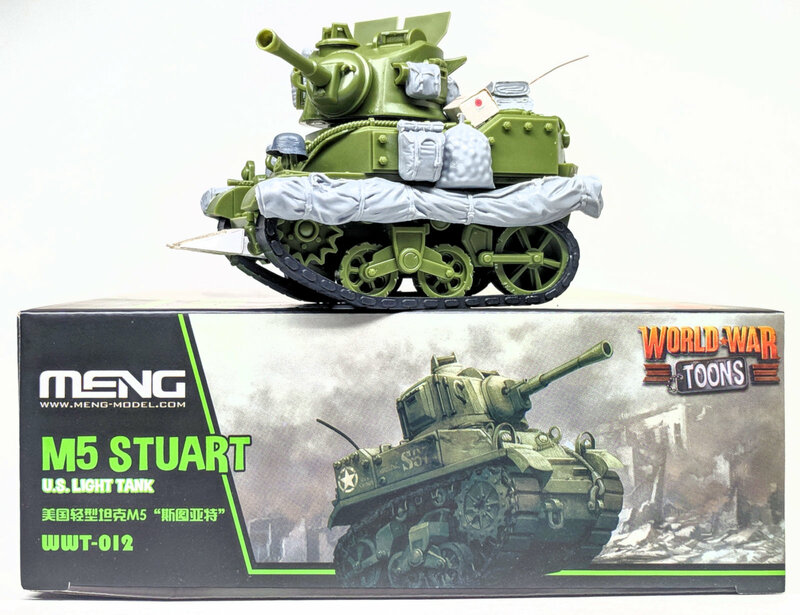 The texture of the Stuart in real life is mostly flat steel plate with some welded and some bolted plates, so not much chance to embellish the surface texture. 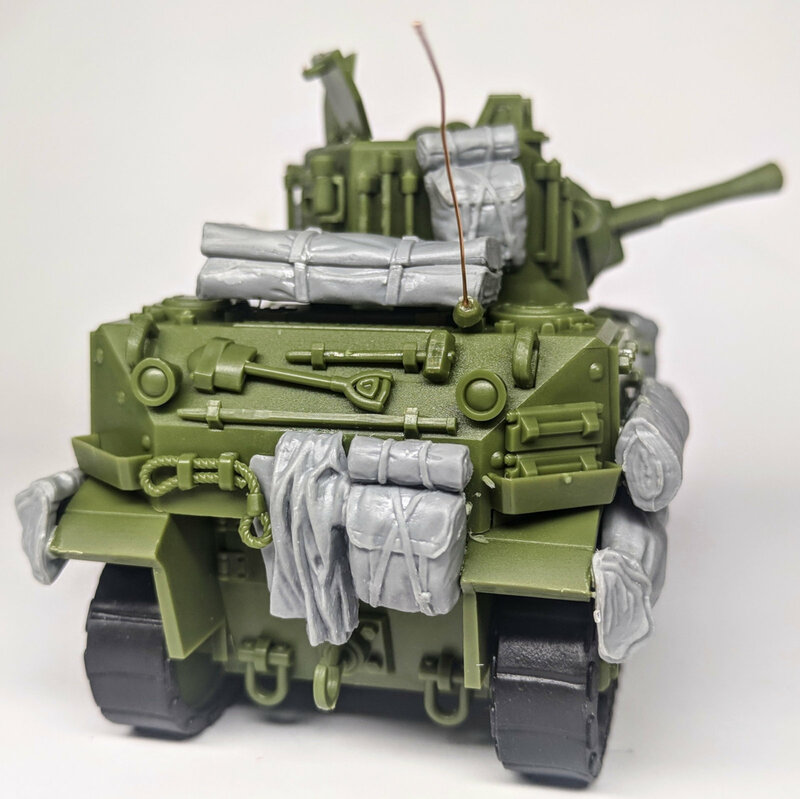 That is one of the things I like to do with these kits so I was a bit bummed out by the tank's lack of scope for modification so far. The rear of the tank gives us a little more to play with, the mesh grilles on the rear could be embellished with a photo-etched grille. 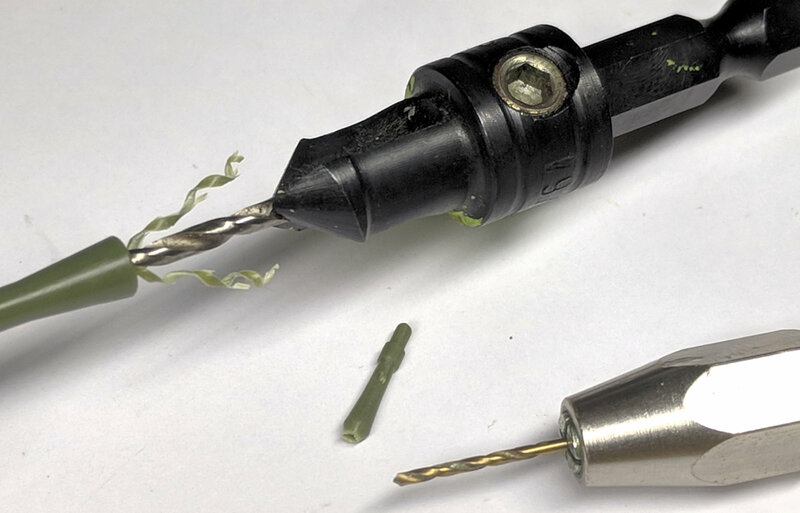 There are lots of holes in there that the tools and other attachments(and there are many as we will see) are secured in to. 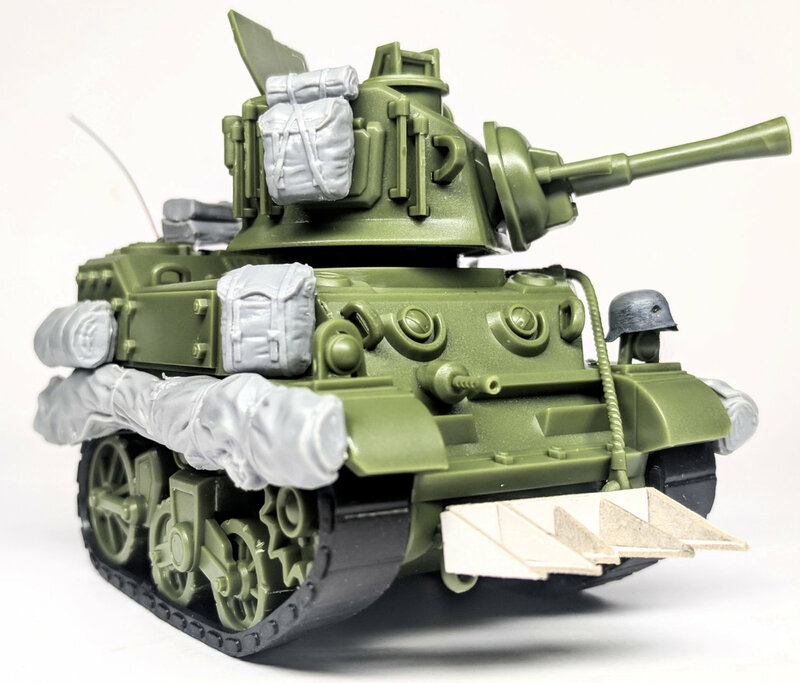 The vinyl tracks supplied with this kit are a simple, U.S -style padded track just like you may be familiar with the Sherman or other similar variants. There are some long moulding connections that need a simple snip off before removal. 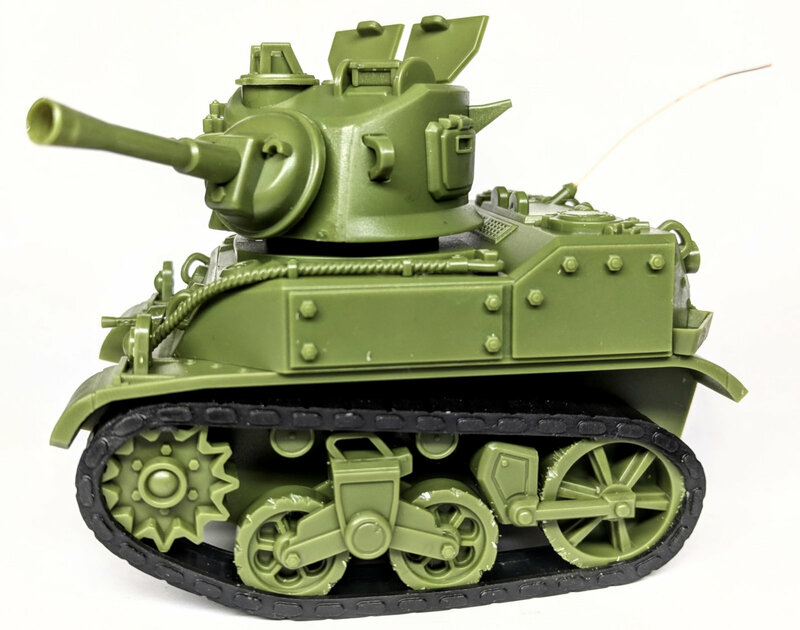 The M5 Stuart light tank in real life. 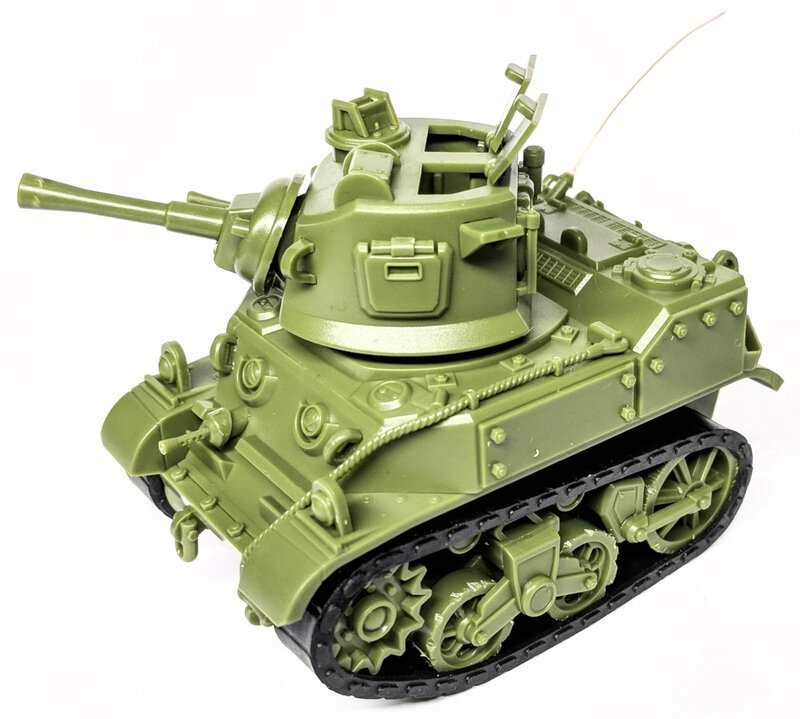 The Light Tank M5 was a modified Light Tank M3 with a new power train and an improved armour layout. 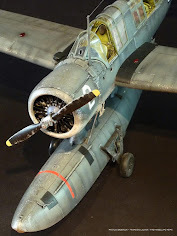 A radial engine shortage was expected in 1941, and it was decided to find alternative engines to power tanks. The engines in the M5 were Cadillac automobile engines, each with its own transmission. The hull was all-welded, and the glacis was sloped and moved out to make more room for the drivers. The drivers had their own hatches, which were equipped with periscopes. The direct vision for the drivers was through two peepholes that were closed with steel plugs attached with chains. 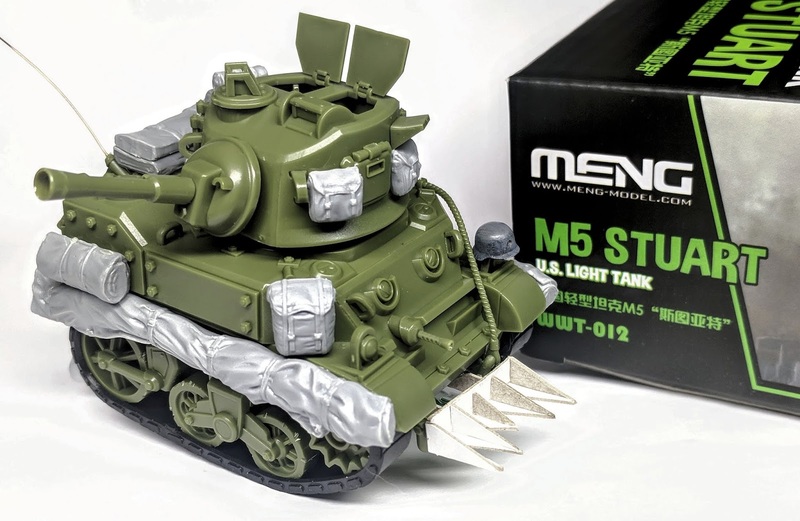 The M5's turret was the same as that on the light tank M3A1. 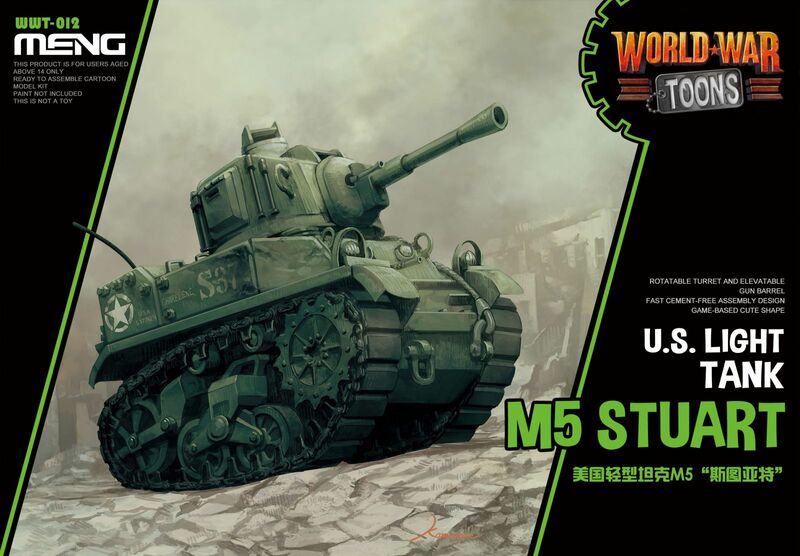 The M5 was originally known as light tank M4 but was redesignated to M5 to avoid confusion with the medium tank M4. 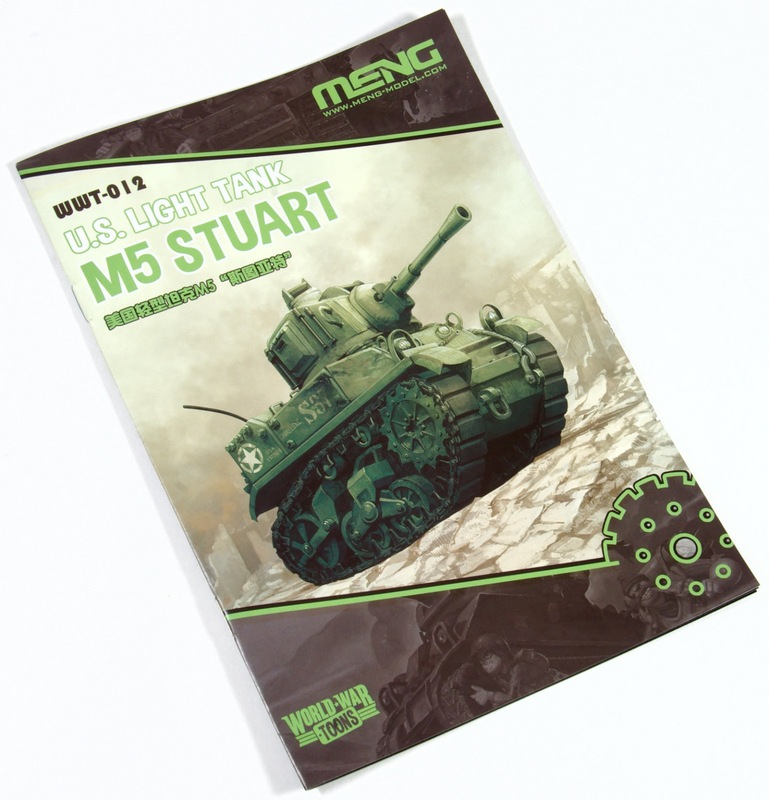 The British called the M5 the Stuart VI. 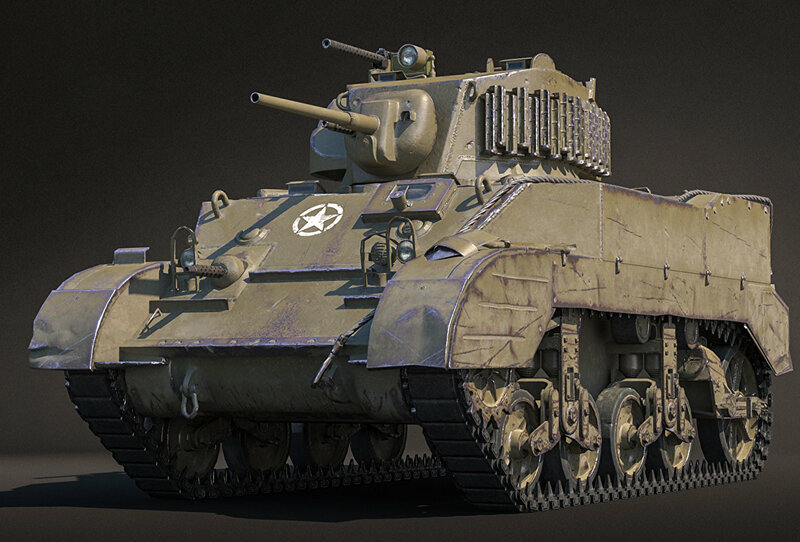 An experimental 37mm semi-automatic gun known as the 37 mm Gun T16 was built and tested in the M5 Light. 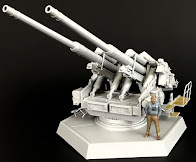 However, it was found to be impractical due to the need to redesign several elements of the turret and gun, and the project was cancelled in August 1944. 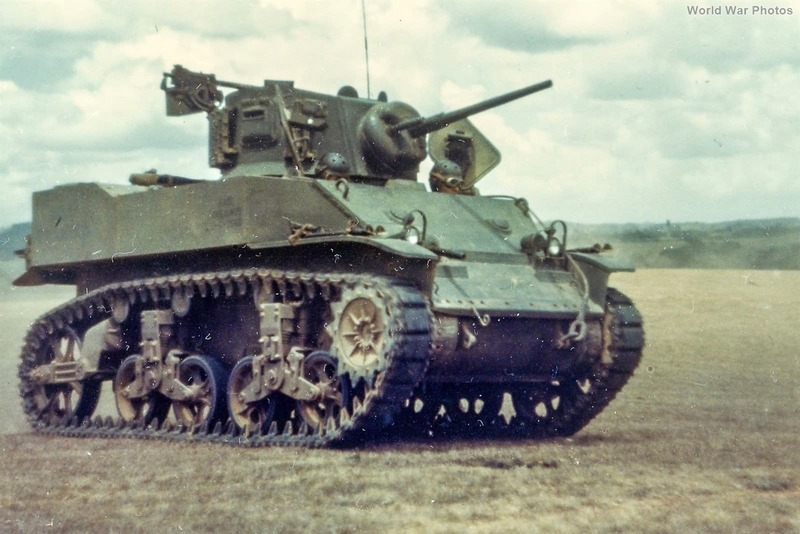 Production of M5A1 tanks in Berwick ceased in April of 1944. They built 1000 tanks of this type. Cadillac ceased production in May of 1944. 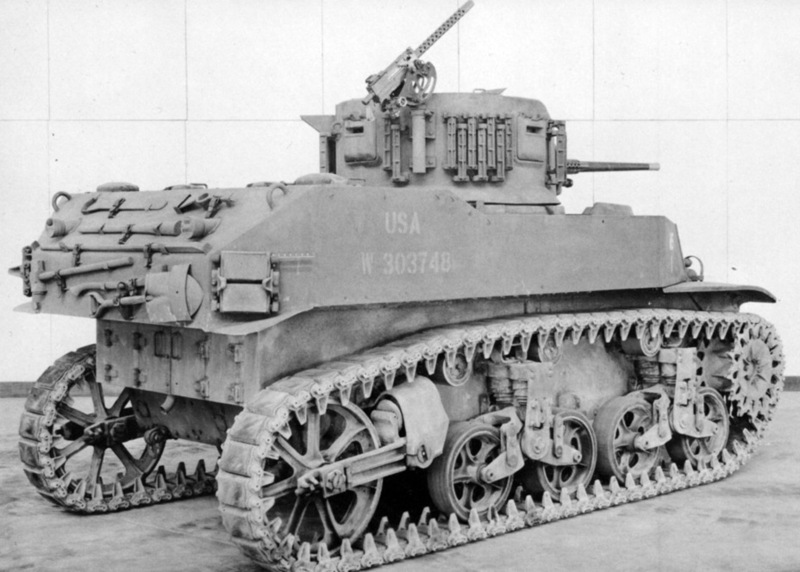 Overall, Detroit produced 3530 tanks of this type. 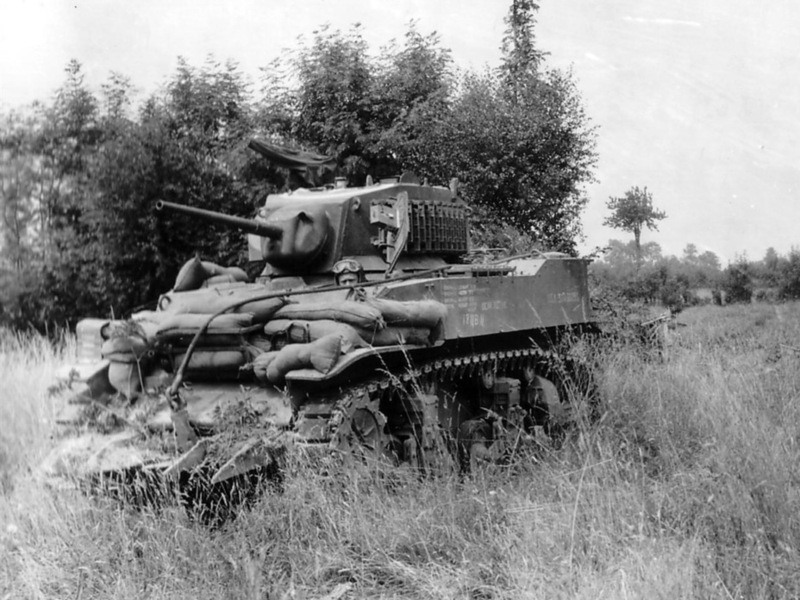 The last tank was built in June of 1944 by Massey-Harris, which put out 1084 M5A1 tanks. 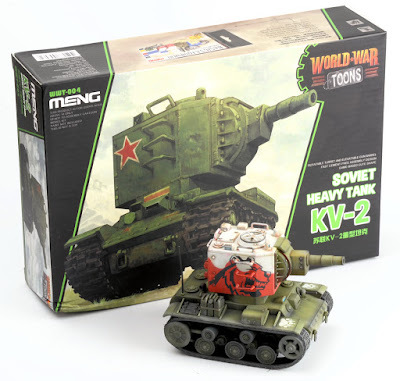 Including the 1196 tanks built by South Gate Assembly, 6810 M5A1 tanks were built between December of 1942 and June of 1944. 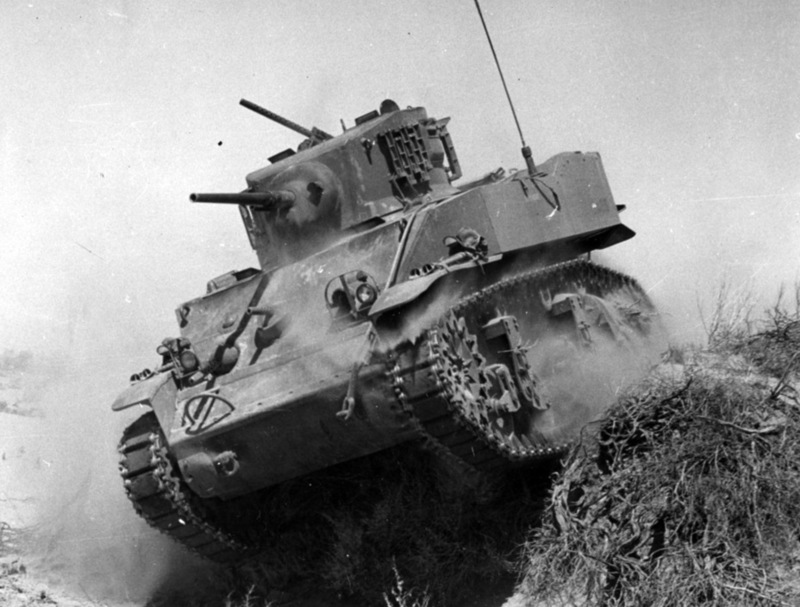 The M5A1 was not only the most numerous light tank to use Harry Knox's suspension, but the longest-serving front line light tank. 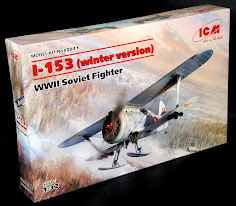 Its debut was the landing in Italy, and it participated in all major American operations in Europe. Even at the stats of its fighting career, the armour and armament seemed obsolete. 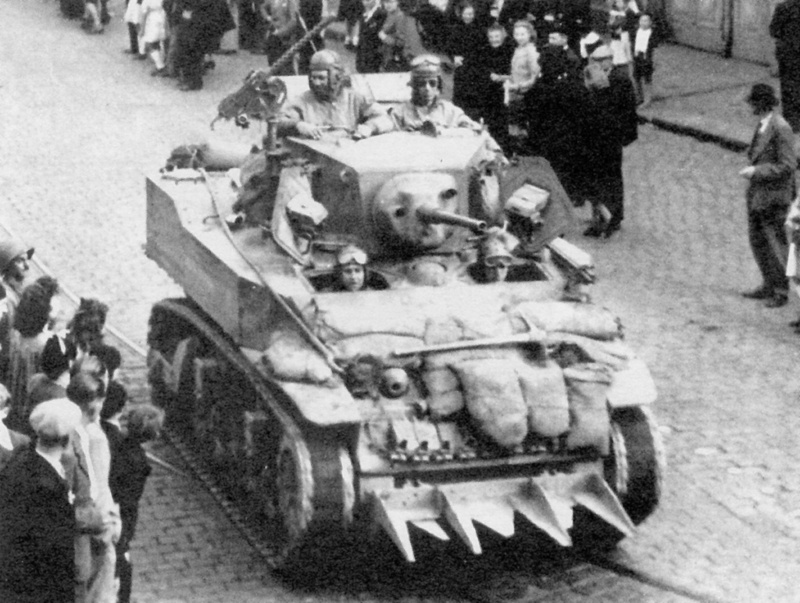 Nevertheless, the vehicle managed to do its job as a reconnaissance tank. 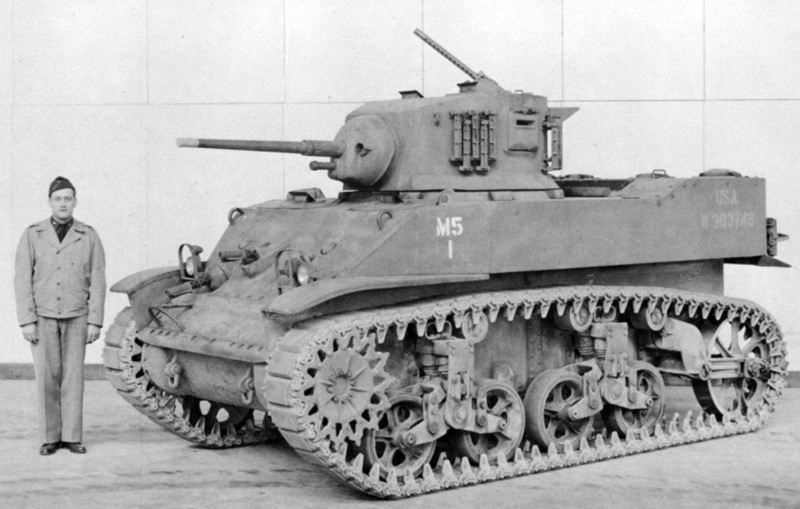 In addition, the enemy of the Light Tank M5A1 was rarely another tank. There were plenty less protected targets for it to fight. 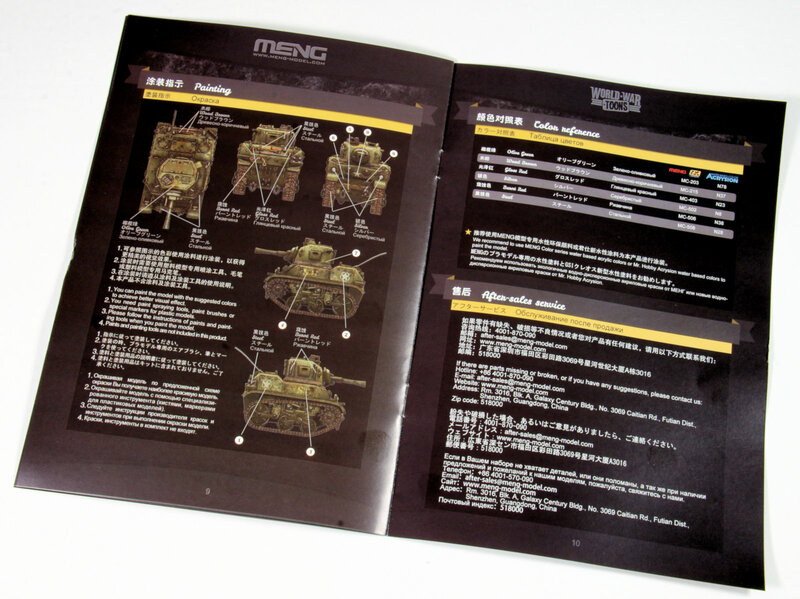 In other words, the light tank could handle any task that was thrown at it. 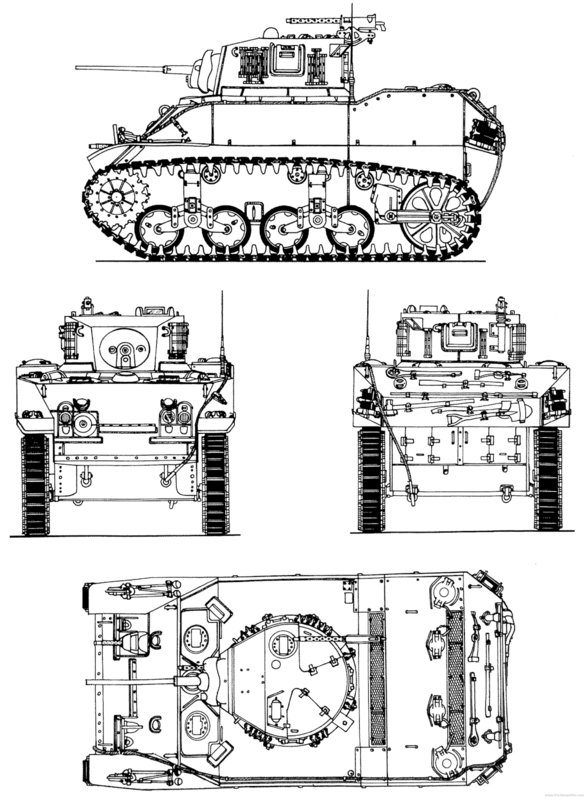 The tanks were used en-masse in Normandy and subsequent battles in Western Europe. 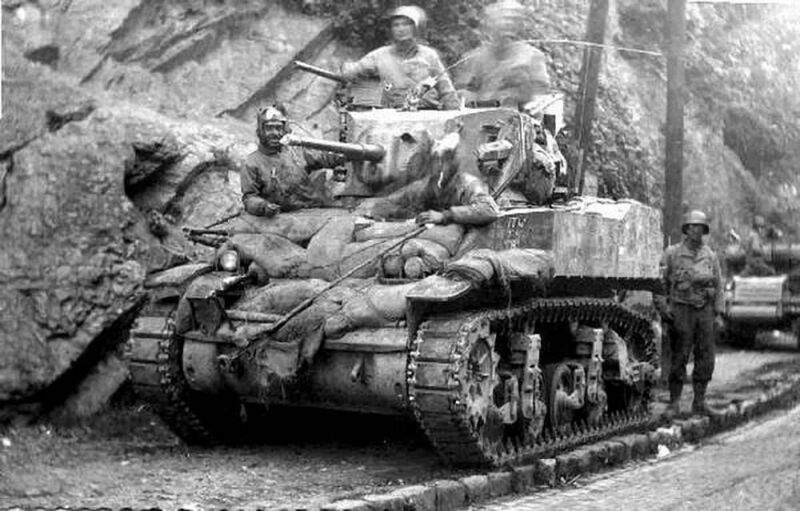 Around this time, the main enemy of American tanks was infantry armed with Panzerfaust and Panzerschreck grenade launchers. 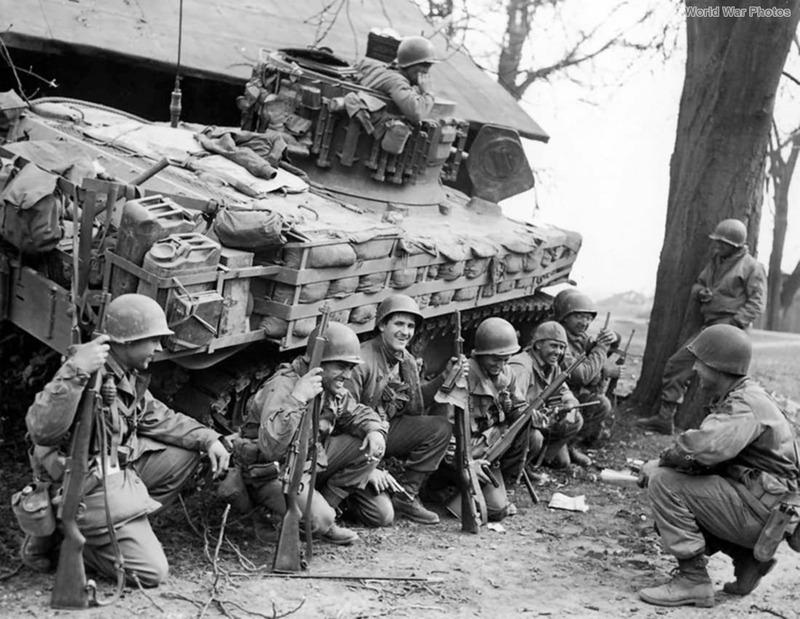 For this reason, the tanks were equipped with improvised protection. 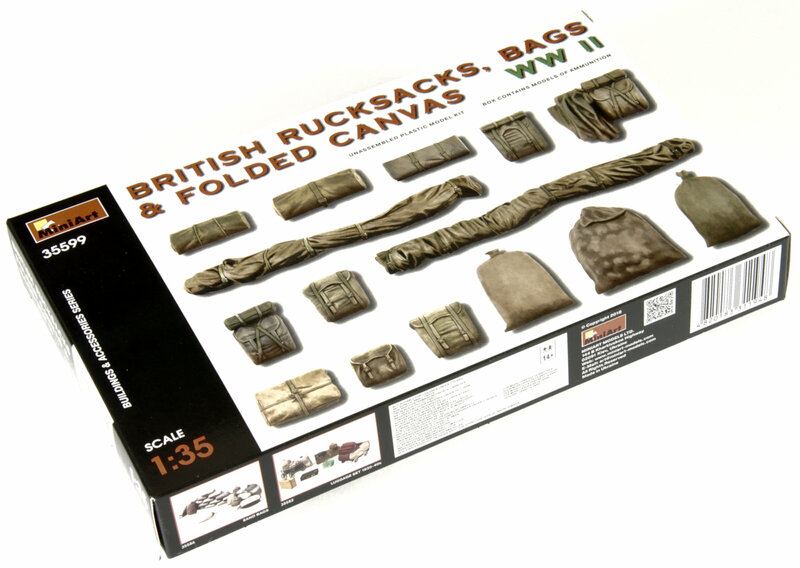 Most often, it consisted of sandbags, attached to the front and sides of the hull. 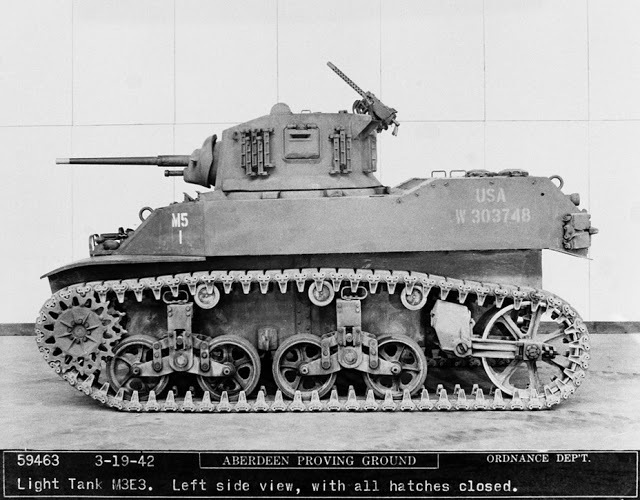 Even though the superior Light Tank M24 entered service, the M5A1 remained the main light tank of the American army until the end of the war. 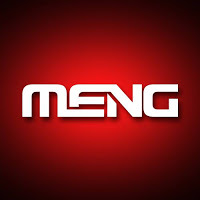 The construction is simple, but I will show you the result of each step as I go along and present any challenges that did present themselves on the way before we can get to the pimping session yet to come. 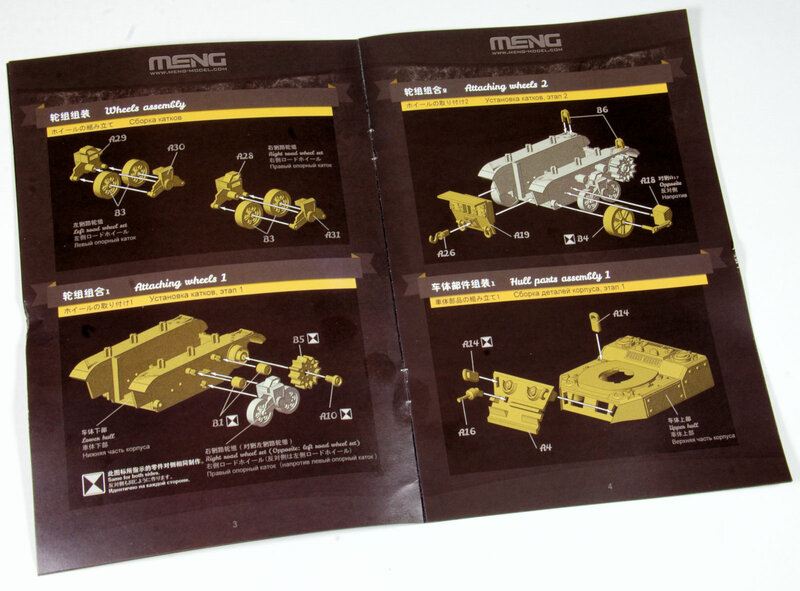 The kit's instructions tell you to start at the suspension so who am I to argue? 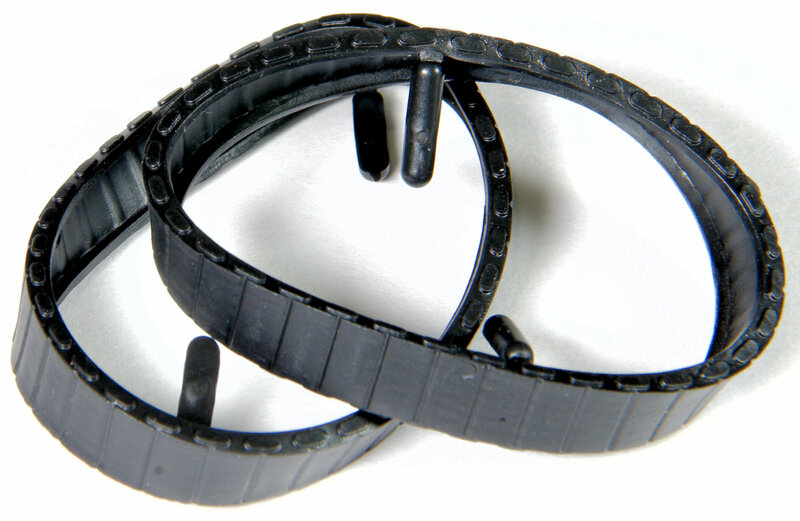 the wheels of the real thing are spoked, but the kit ones are simplified. You COULD drill these all out, but the holes are not cylindrical, and they can be weathered in a way that they appear hollow so I will leave mine out. The simple set up is seen here below - both on the hull and severely not yet added on below that. This suspension doesn't need to be glued on - simply pushed on to the cross-shaped fittings to fit. Here it is all put together on the lower hull. We are only looking at some slight clean up and 30 minutes of construction so far. 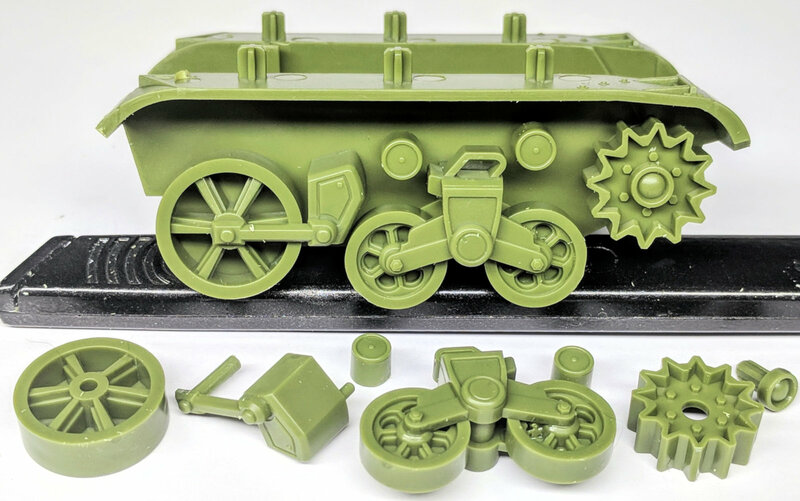 The rubber road wheels of this kit are pretty much covered by the tracks, but there is still an opportunity to weather them while still building the kit to show the insides of these wheels in a used and distressed state. I used a scalpel to notch away at the wheels and a pull saw to rub, rough and score these wheels in a non-uniform pattern. The rear hull simply slides into the socket like slot provided. The slightly textured surface detail on the rear is evident here. 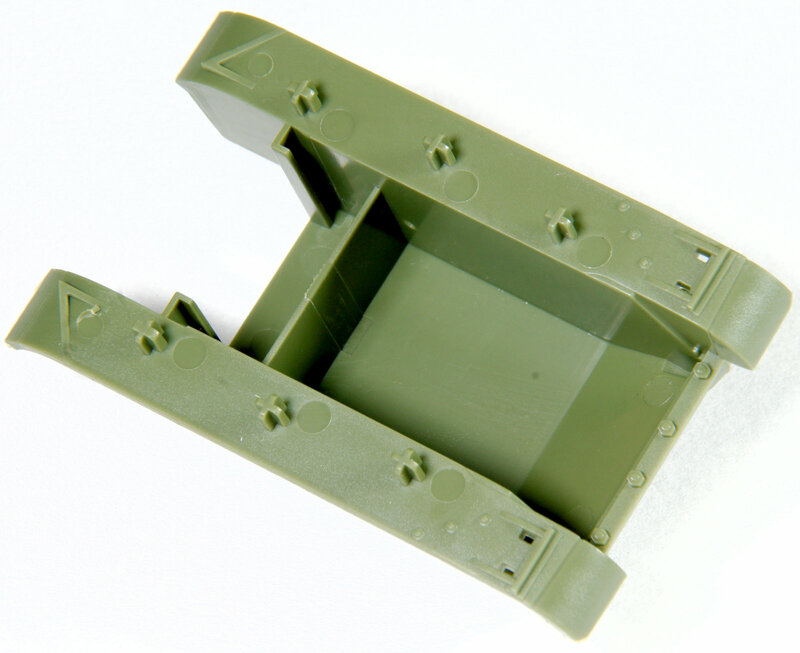 The hook is a separate parts, while the shackles are moulded into the sprue. 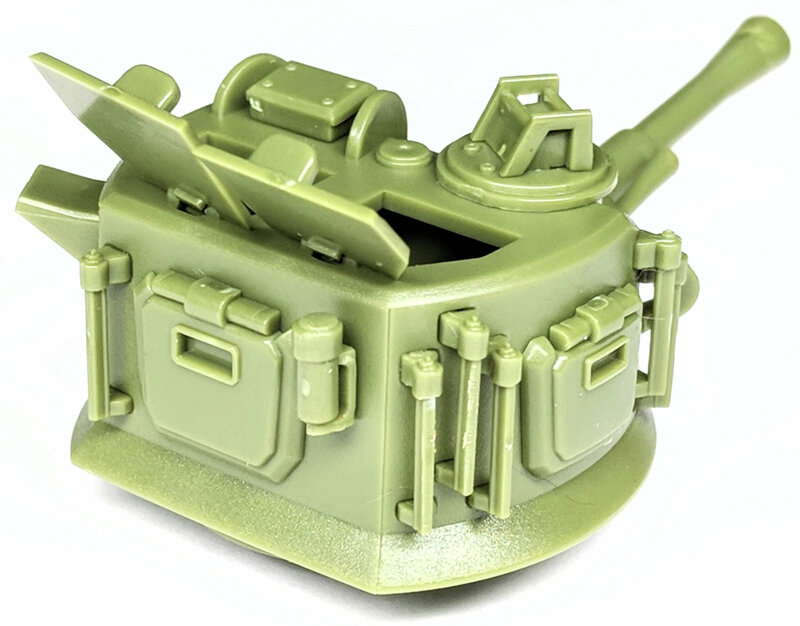 The top of the hull needs some attention next, with the front bow machine gun that before was a small plastic part with a fat, thick end that needed to be hollowed out. Instead of going aftermarket (I am thinking not everyone that has this kit can afford or thinks about brass hollowed barrels) I went for some modelling "skill" and simply reamed out the end very carefully leaving a semi-hollow barrel that looked great. Here you go the gun in position on the front glacis plate. 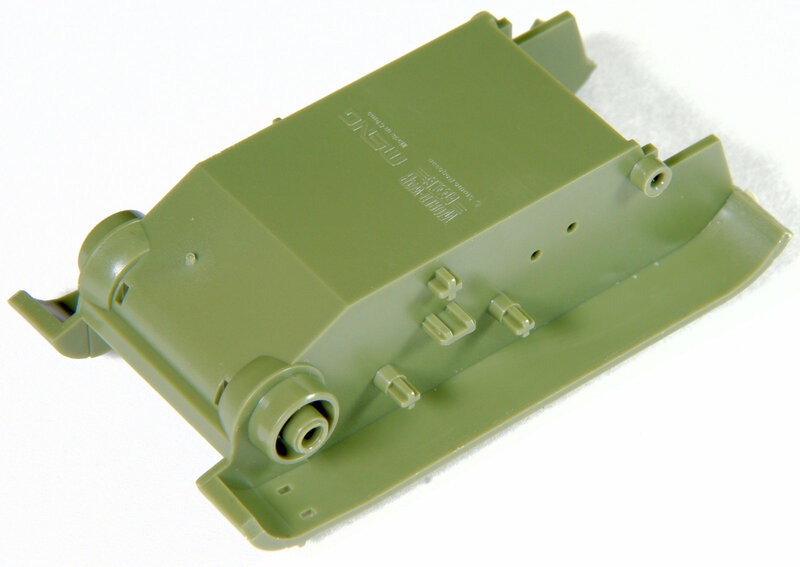 The front plate simply slots into the hull sides in a similar way to the rear hull. Once it is there you will need no glue, but I put some Tamiya super thin in there and squeezed the sides to eliminate the less than a 1mm gap that is presented. 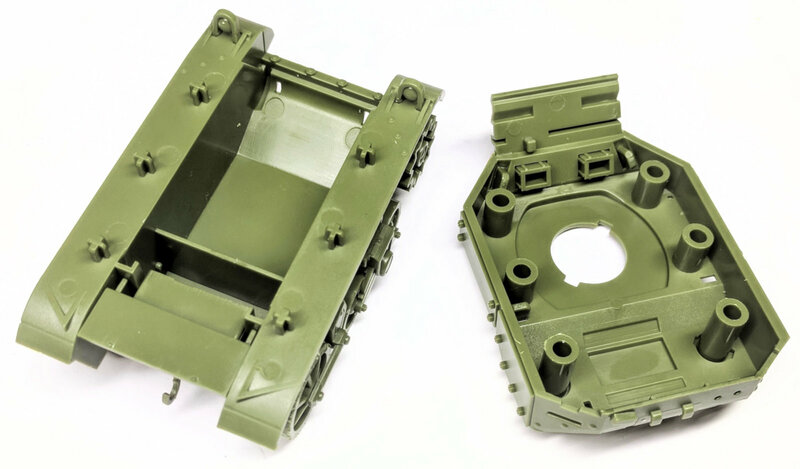 The rear deck of the tank is full of holes - well that is until you include the tools and attachments that sit on the rear of the tank. 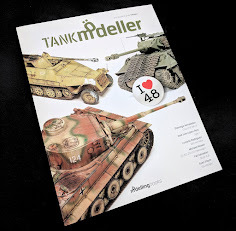 In this way, your tank is already detailed, but we will want more from ours I think. The top and bottom of the hull now secure together over those "+" shaped notches to the "O" shaped sockets in the other side. The fit is perfect and mine is still sitting together without glue. 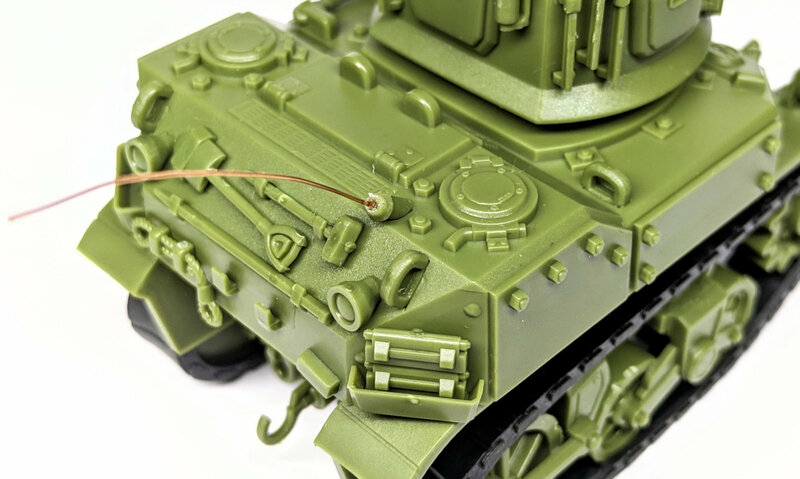 The Whip aerial of this tank is next. 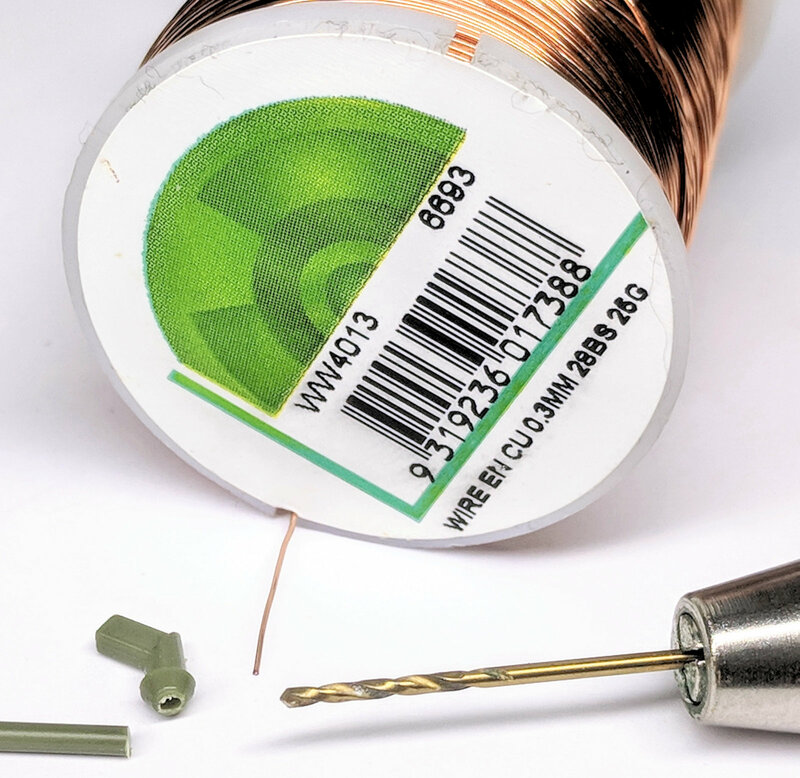 The very thick (2mm) curved aerial was removed and replaced by some thin .3mm (even up to 1mm will do), with the end drilled in to secure it there with some super glue and the aerial folded and bent back to represent the tank in motion. The rear all finished up. 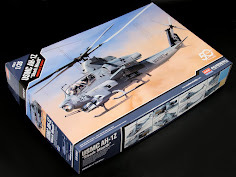 This bent aerial is the first step to a better-detailed kit that mixes reality in with the "toon" aspect. I like this mix. 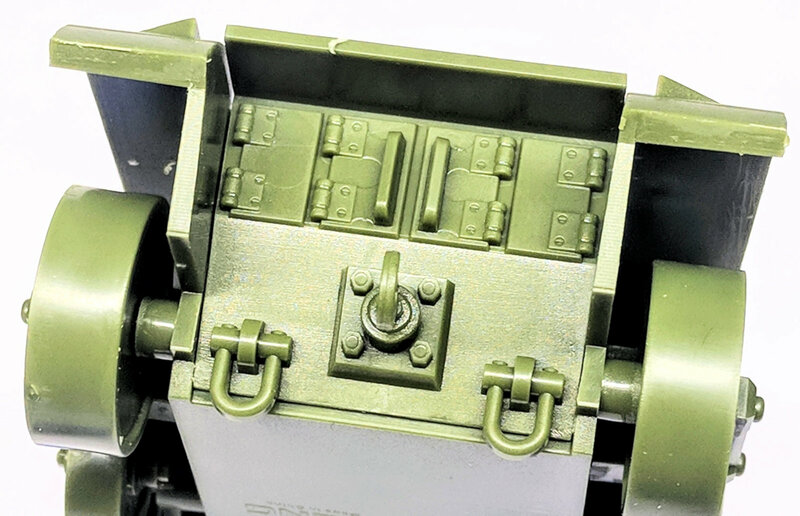 Of note is the slightly textured skin of the rear deck and the tool loadout that look very nice here. Getting close to finishing here. The turret is next. 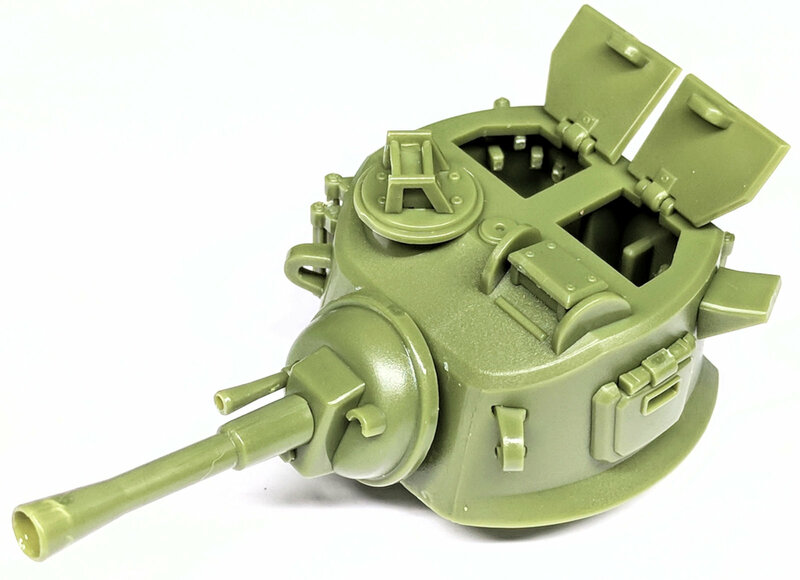 The simple turret, turret floor and mantlet go together with a push, what I did not like however were again the turret gun barrels. These need a-reamin' out! Using three drill bits by hand I started small and got thicker as i "reamed". I was careful to go as much as I could before the plastic deformed or started to pull through the exterior. Here is the result. I trimmed out the MG bow gun to make a flatter muzzle. I also stopped just in the nick of time before I broke through the barrel (sheesh) but you will not see the white, stressed plastic when this is all painted. The two guns in position. 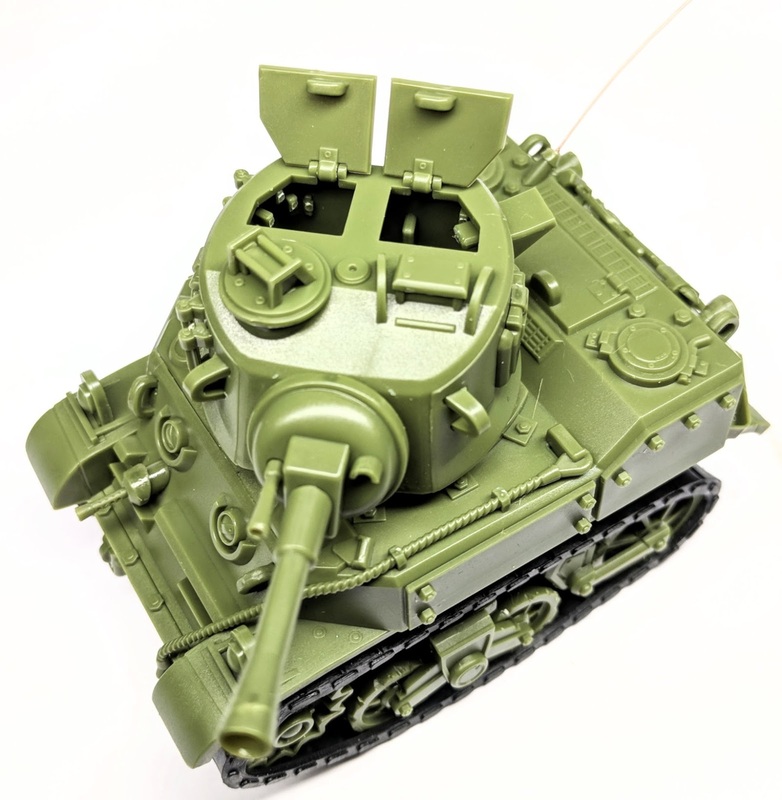 I was very pleased with this result and I would say to you to make this effort also - especially if you do not want to fork out for metal barrels - I mean, who needs them on a tank worth 20 bucks?? The many holes on the sides of the turret are filled with the brackets, handles and extra equipment that dresses this up rather nicely. 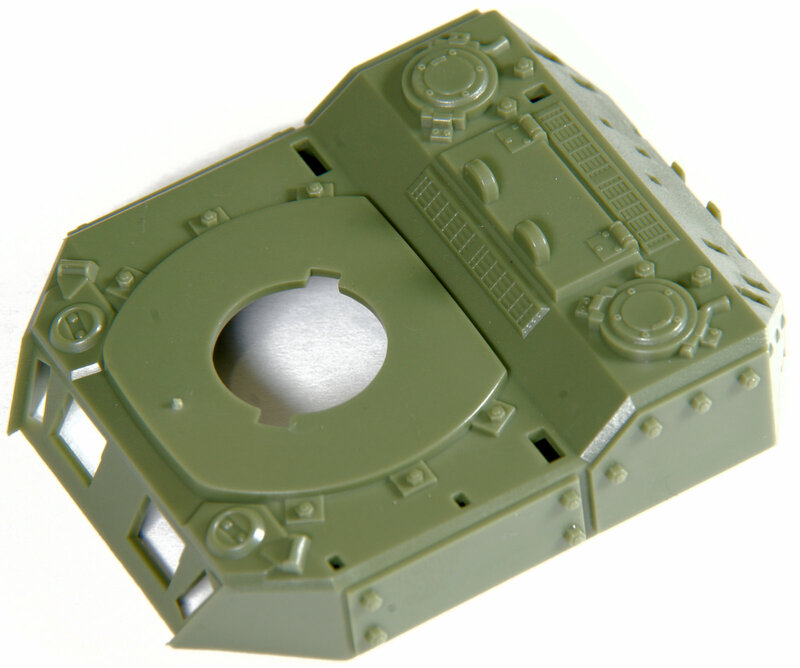 The sharper cookies will notice that I put the hatches into the top of the turret "arse-about-face" or backward. 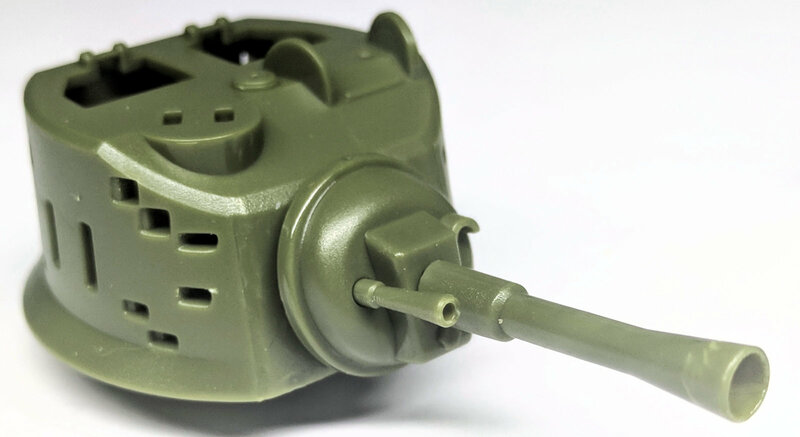 The little notches you see here on the completed turret are actually the outsides of the turret (Toon grab handles) - I left these this way until the pimping out started later on in the build. Lastly, another touch of drilling out the holes near the shackles to make them look more articulated. 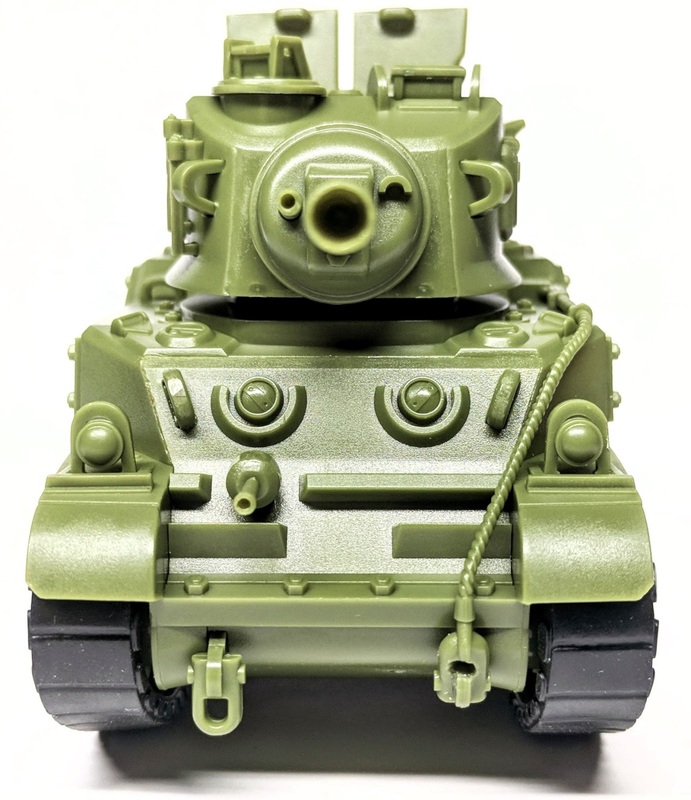 I know this is a Toon tank, but every bit of added realism helps. Question: How do we make it BETTER? 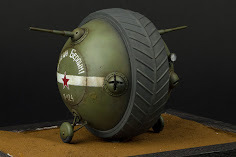 How do we give it all of the signatures that allied vehicles of that time had - how is it easily recognizable E.G. - how is it made into an even better caricature of itself? 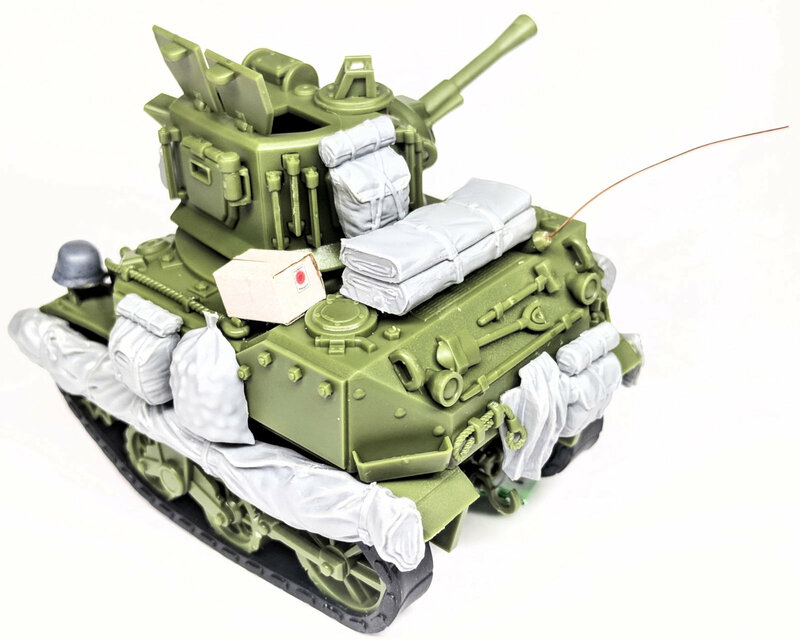 I did want to use tracks around the turret - but I would have to source some new ones for that - so I had to come up with something else...Stowage was one way - lots of canvas, bags, things to carry on a tank in a fast advance over Europe in WWII. 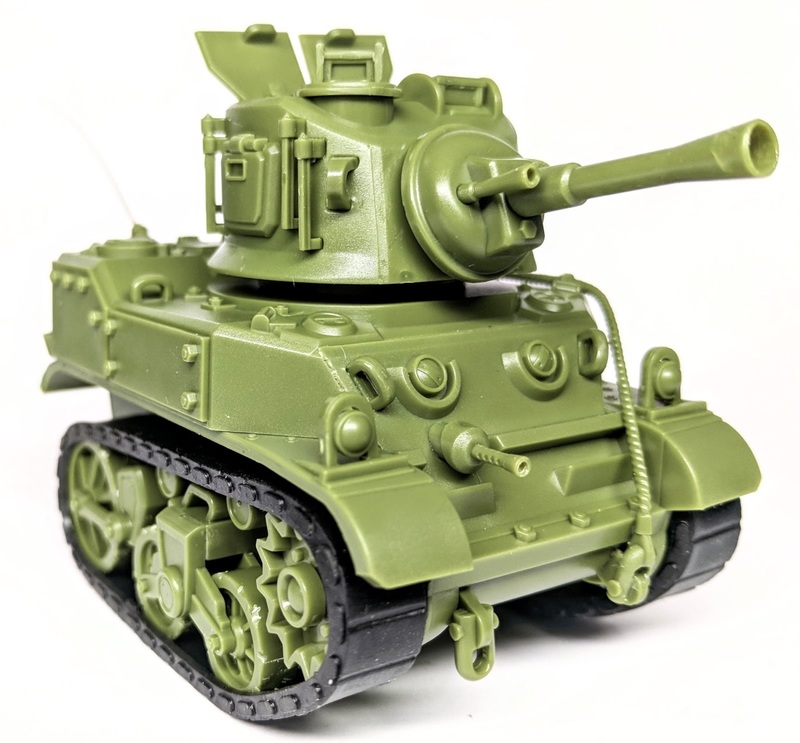 For this stowage I used a set that I have just acquired for adding stowage to the British Sherman, although they fit many tanks, I though this set from MiniArt was just the ticket. 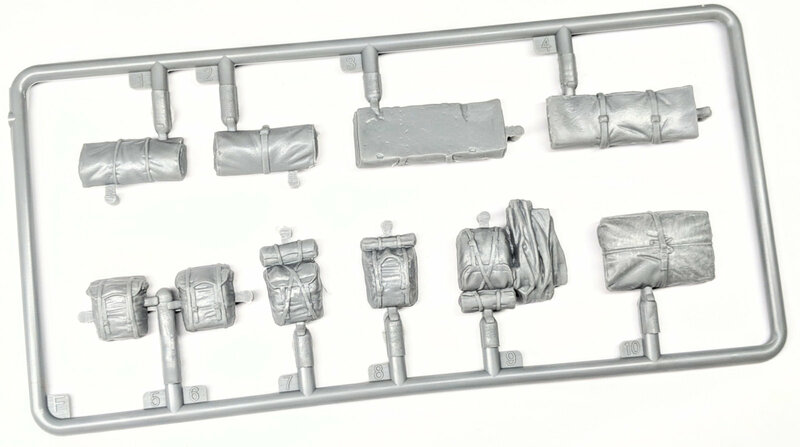 This is an end oping box with a plastic bag inside that reveals six light grey plastic sprues inside. 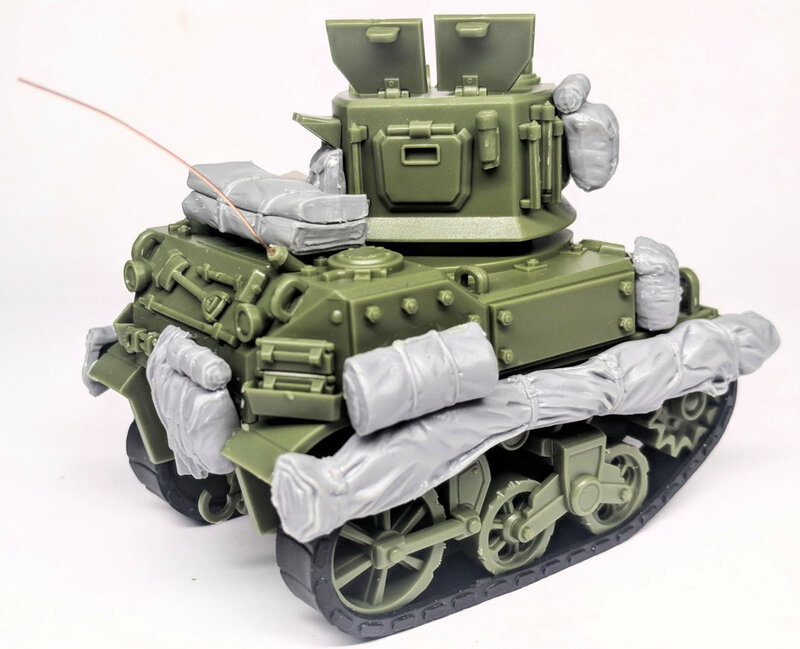 Although they are meant for the British Sherman, I liked the cut of their jib, and there looks to me to be enough pieces of stowage for two tanks. 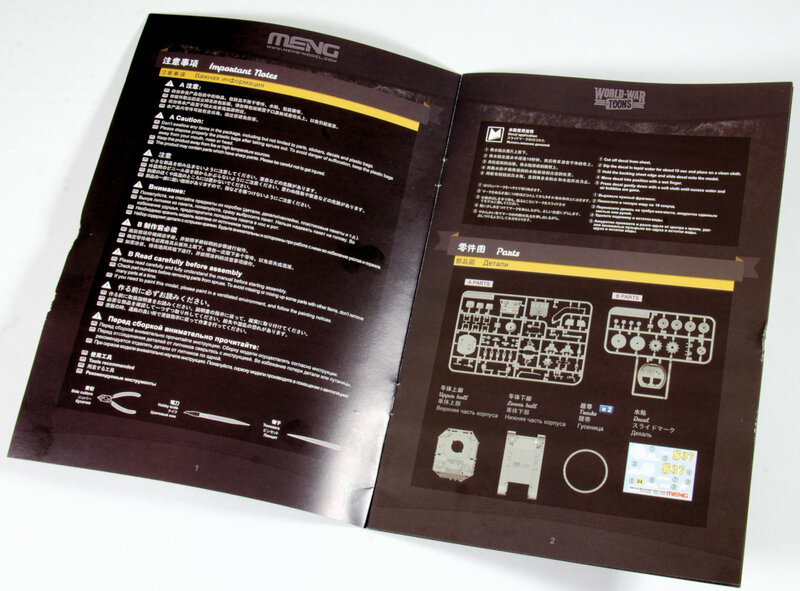 There is a placement guide ont he rear of the boxing. 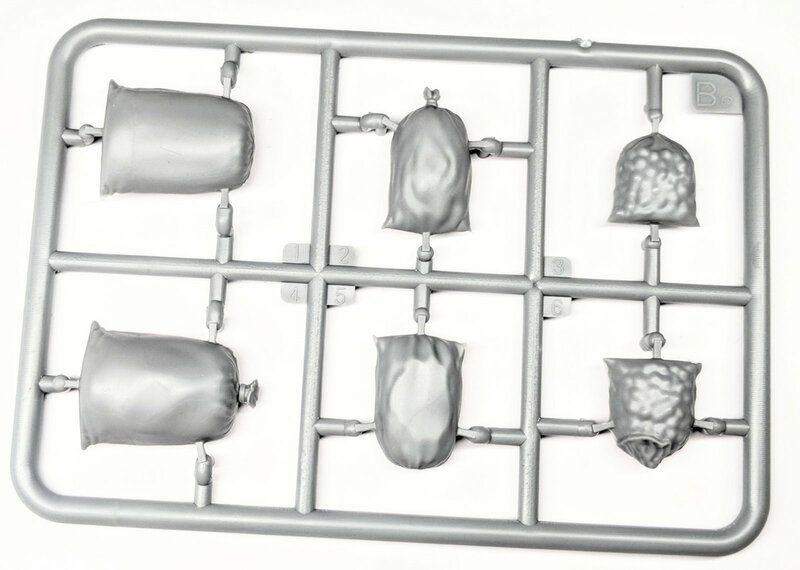 Inside are six sprues, each f them are hollow on the side that attaches to the vehicle. 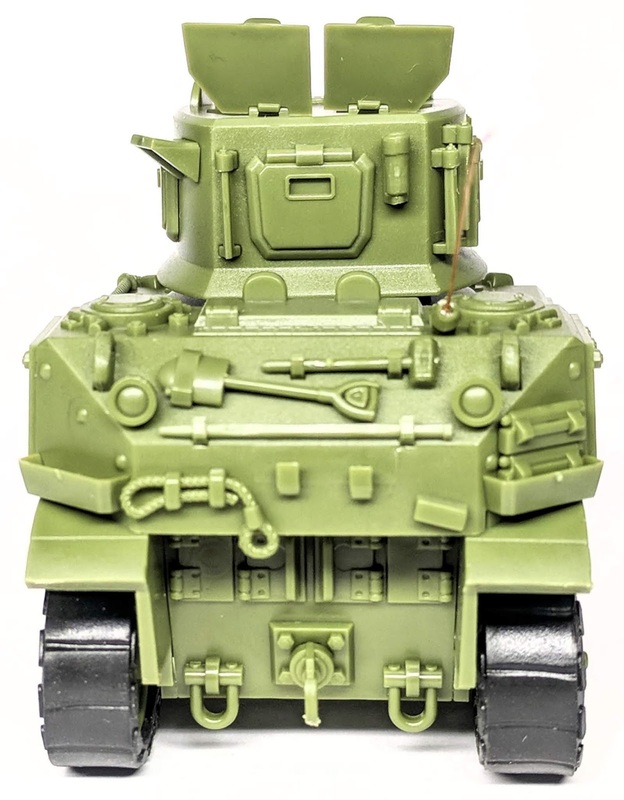 This isn't a problem on the Sherman they are meant to fit on to, but on this tank I may need to do some filling in 'round the back. 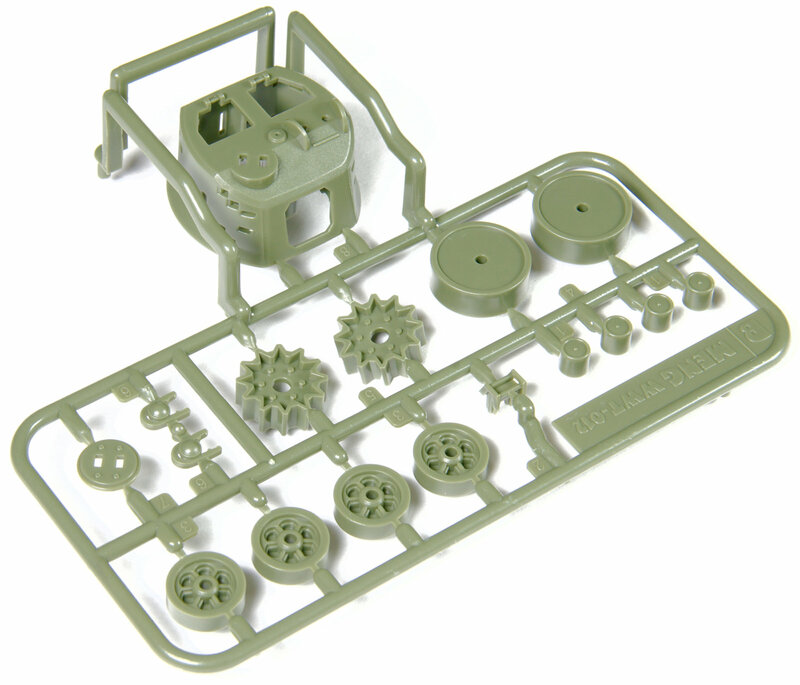 Two sprues with sacks - you can see the potatoes in one of these. Two sprues of long tarps, the shorter one is the one I like for the job we have here. 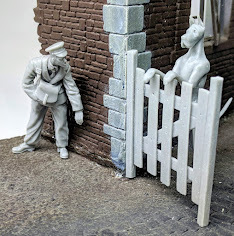 After a lot of comparing and dry fitting I came up with these - what I was going to use on this kit from the MiniArt set. 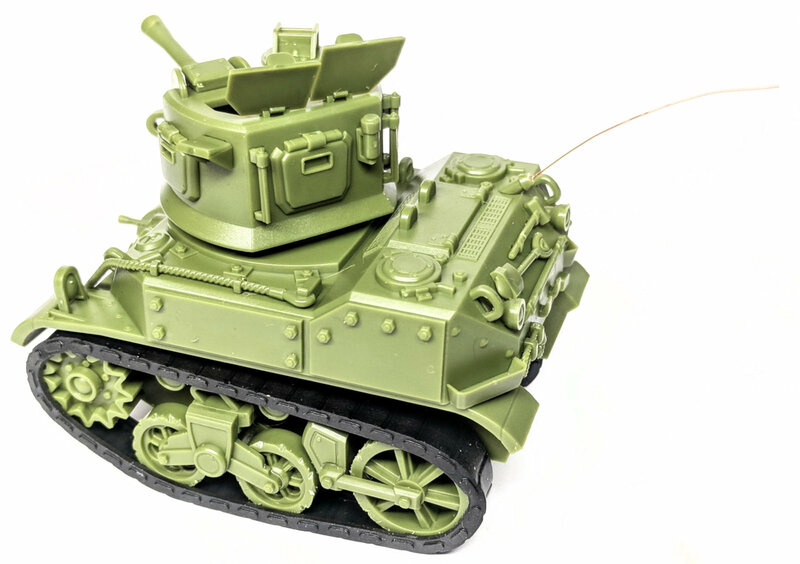 I could have used more (and I did use a few more bits) - but because this is supposed to be a scout tank and not a heavy I decided for a pretty light load. There was about half a set left when I finished so I could use this set on two different tanks. 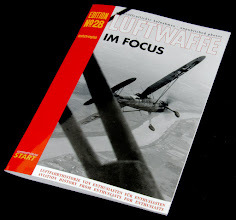 I included a card "lucky Strike" carton and a German helmet - complete with hole in the forehead a-la "Fury". 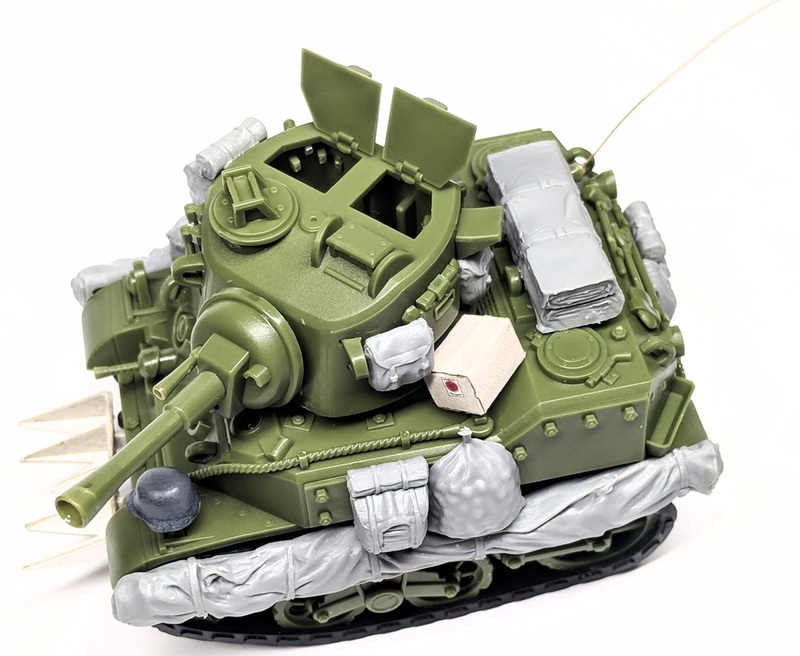 OK and here they are in place - the rucksack and clothing/ blanket hanging off the back of the tank and those two stacked wraps on the rear deck. The long skirt that ran down both sides fit perfectly without alteration to the tank, a few extra packs filled and evened out the tank. 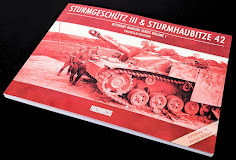 A thing that was notable on several Shermans and M5's used in Normandy and later, in the rest of Europe, was a device for destroying the high bocages (hedgerows). 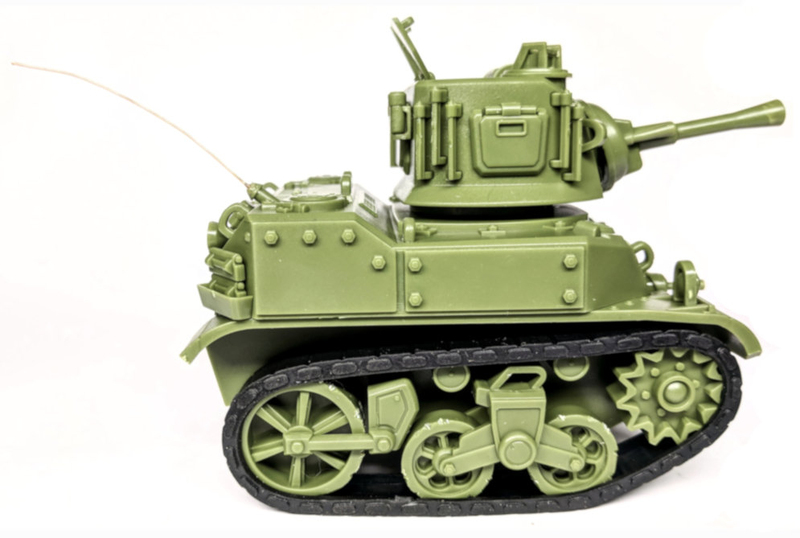 Soldiers of the 2nd Armoured Division's 102nd Cavalry Reconnaissance Squadron invented the hedgerow device that gained the widest publicity. During a discussion between some of the 102nd's officers and enlisted men, someone suggested that they get "saw teeth," put them on their tanks, and cut through the hedgerows. Many of the troops laughed at the suggestion, but Sergeant Curtis G. Culin took the idea to heart. Culin designed and supervised the construction of a hedgerow cutting device made from scrap iron pulled from a German roadblock. 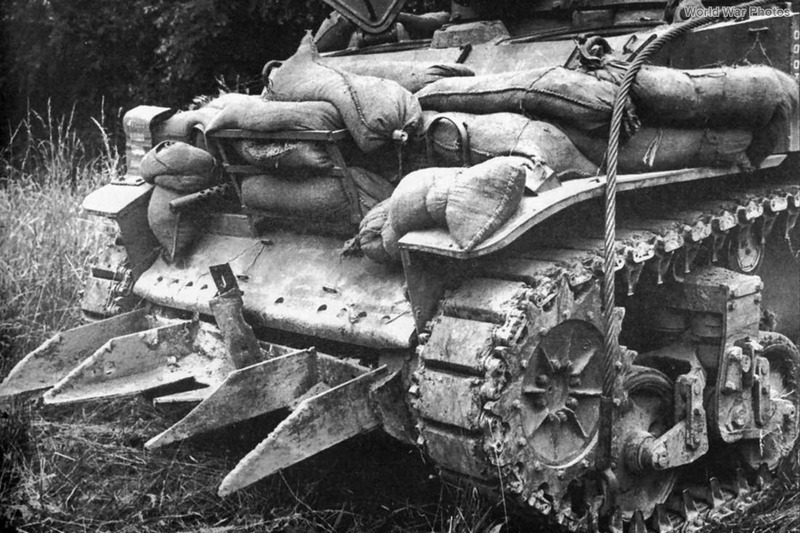 Testing showed that the device allowed a Sherman to cut easily through the hedgerows. 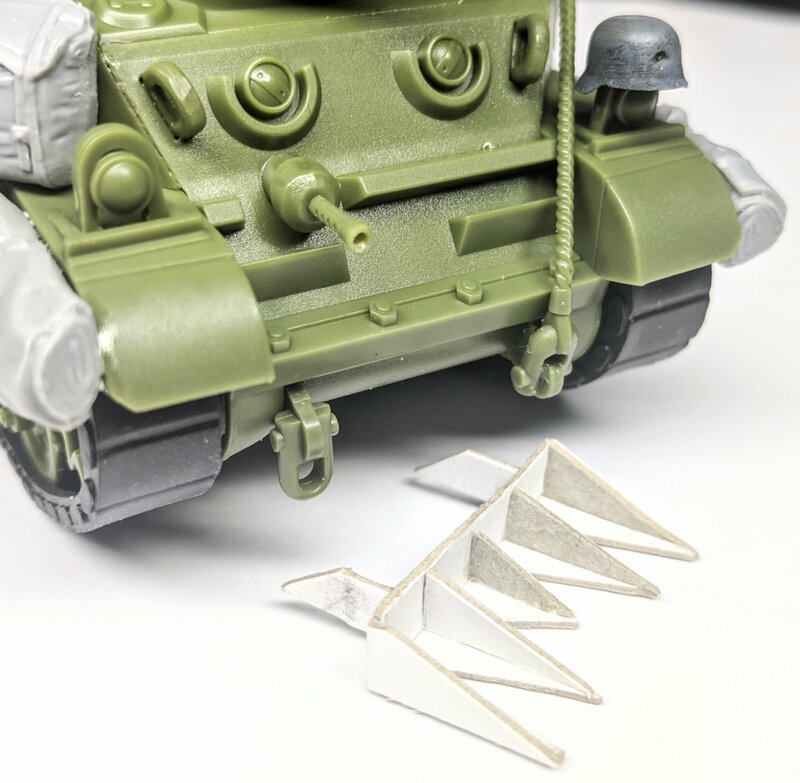 Because the hedgerow cutter's blades made a tank resemble a large pachyderm with tusks, troops called the device a "rhinoceros," and Shermans equipped with Culin's invention became known as "rhino" tanks. Though the most famous of the hedgerow-reducing devices, Culin's "rhinoceros" was only one of many such contrivances invented and employed throughout First Army." 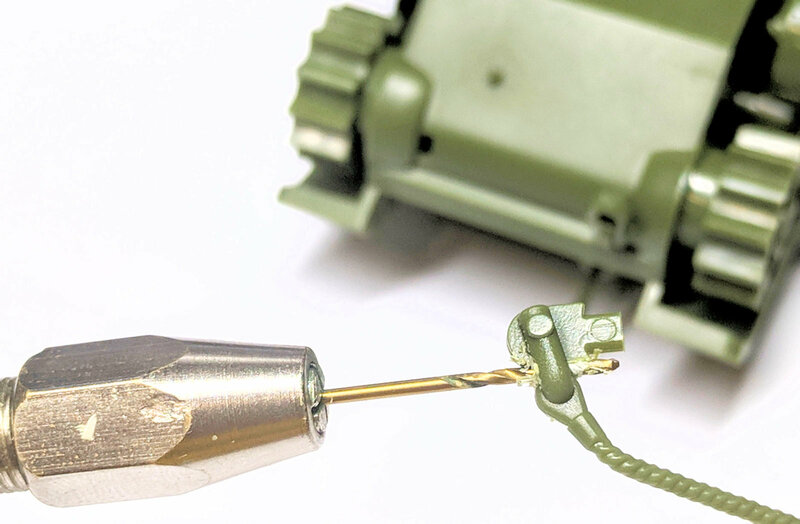 The British designation for the modifications was "Prongs". 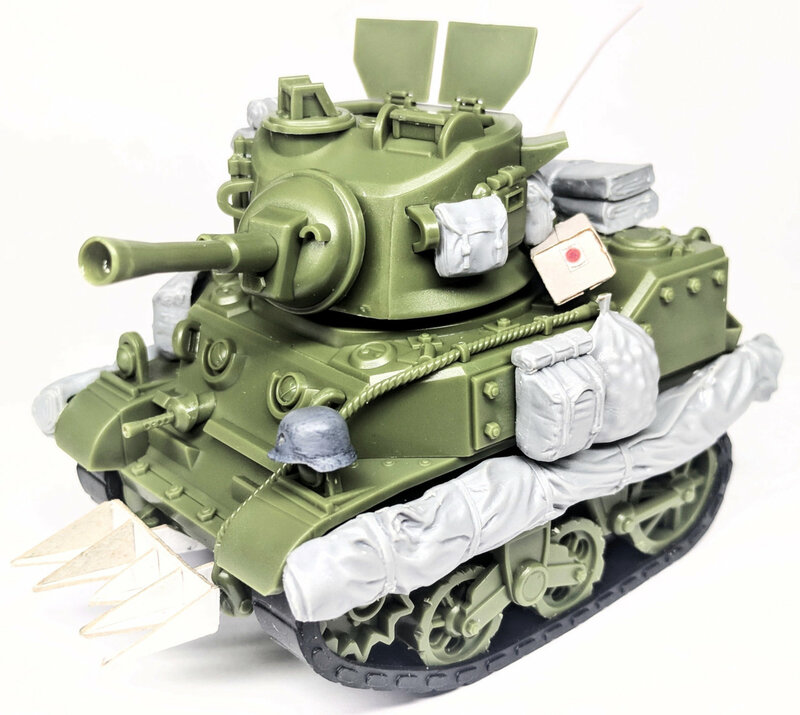 There were many different designs used in different units and vehicles - so I found one that I could add to the front of my tank in these pictures. I cut it out of white card at first. 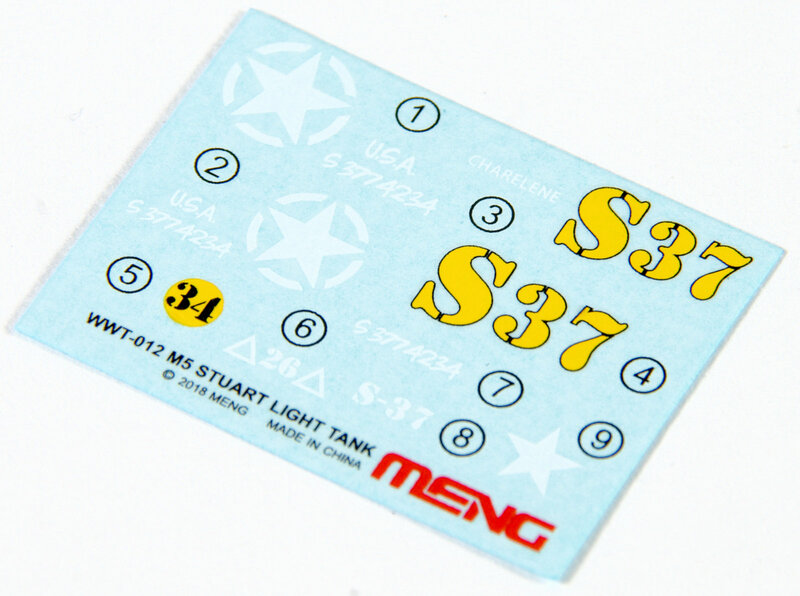 Carefully measuring the tank and using a simple ruler, scalpel and pencil measured, drew and cut the five pronged shape I needed. 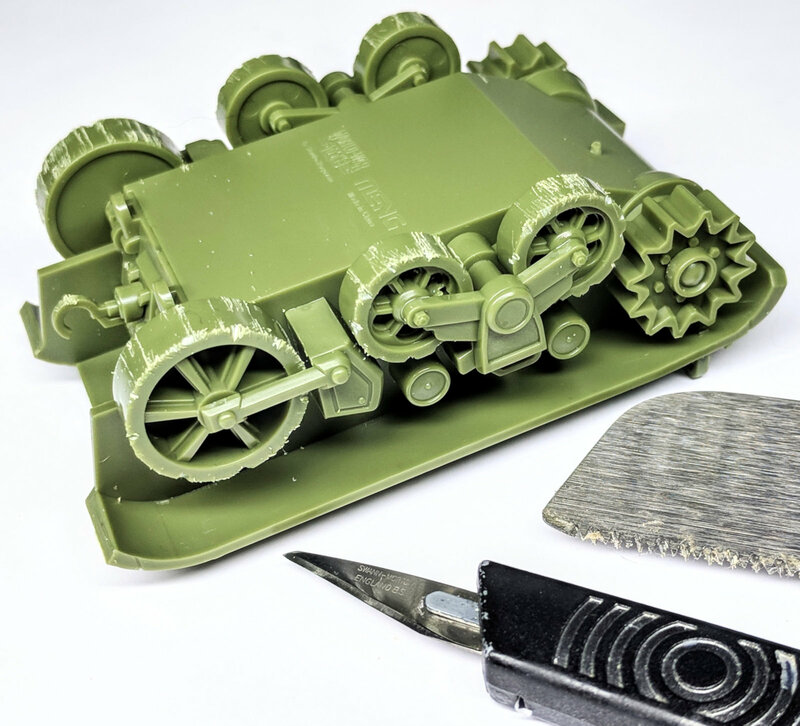 I scaled it to about the same size as the front road wheel (it could be bigger being a Toon tank in hindsight) - I used card to make a prototype but liked the rough edges and when looking at the surface texture it does look like roughly cut and shaped steel so no plasticard needed (not all beginners will have plasticard so I am happy with how it looked and the ease of making it. Before I knew it and without even time to make a template I could use it was glued together. I decided to use some awesome craft glue I picked up on a trip to Shizuoka last year. 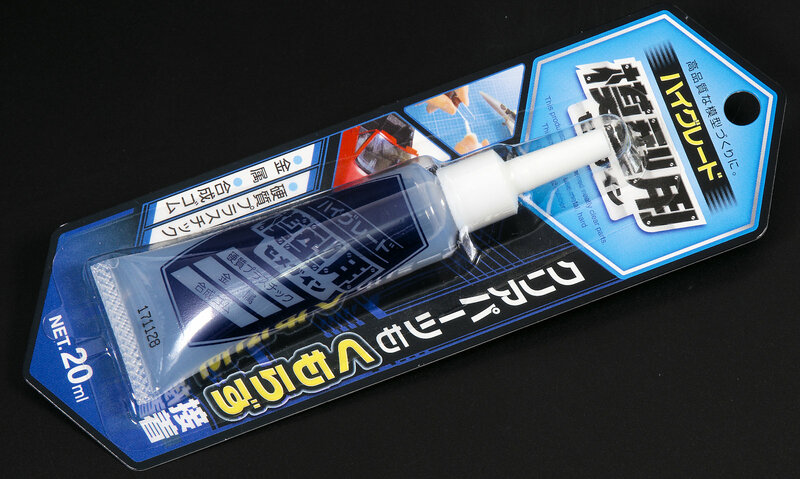 It is made by a Japanese company called "Cemedine" and it is called "Cemedine special adhesive glue high-grade models for hobby glue". This was 20 ml (CA-089) - you can get if from this website for AU$ 4.24 (¥ 349). 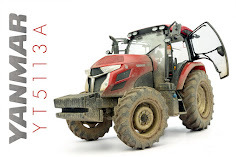 It is self levelling, and it glues paper, plastic and wood, and any left over residue just rubs off and crumbles - it really is great stuff, especially for trial fixing things in place while being a hold almost like plastic welding glues. My pimping days are OVER - until I get pulled back in one more time for some of that sweet sweet conversion stuff. 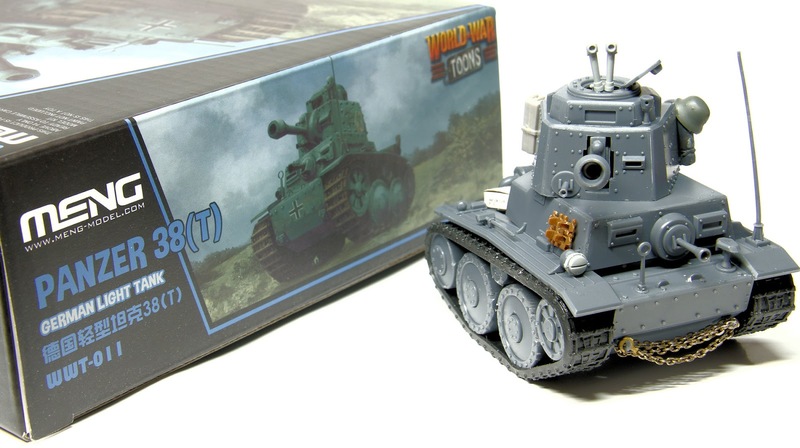 I loved making this tank and it was a really pleasant one day build (and write-up) that really enhanced this model. 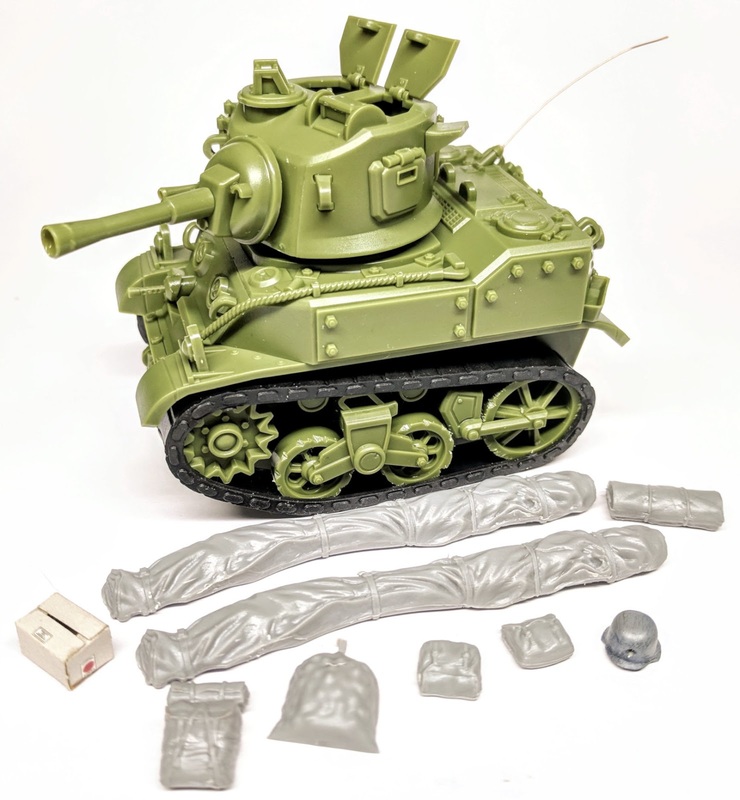 A few simple additions of stuff that you may have rattling around the spares box and you are left with something special in your collection. 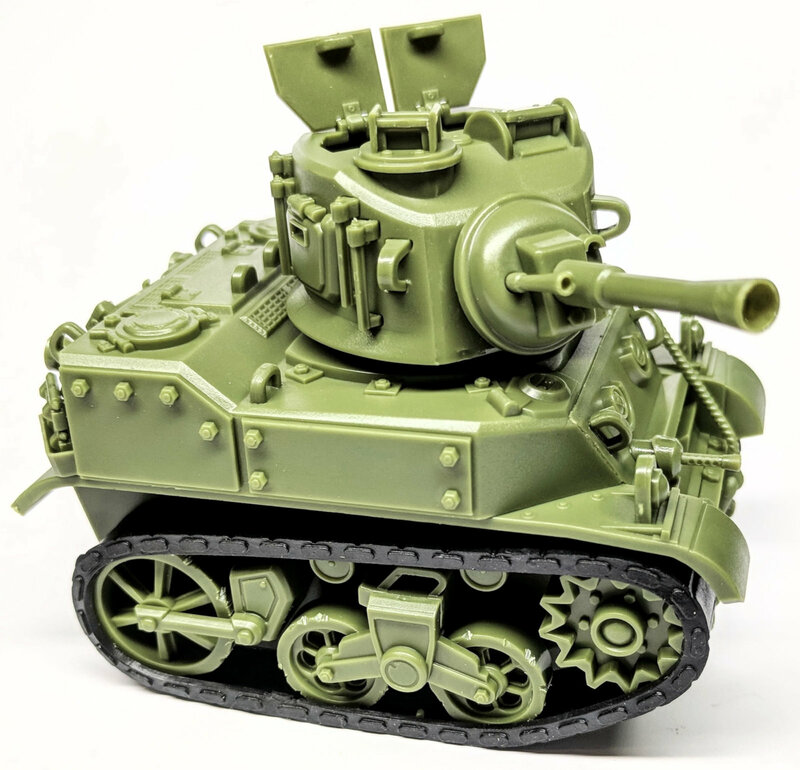 As for painting and weathering? That is another adventure for further down the track when I am not so busy getting sidetracked by the pimpin' game. 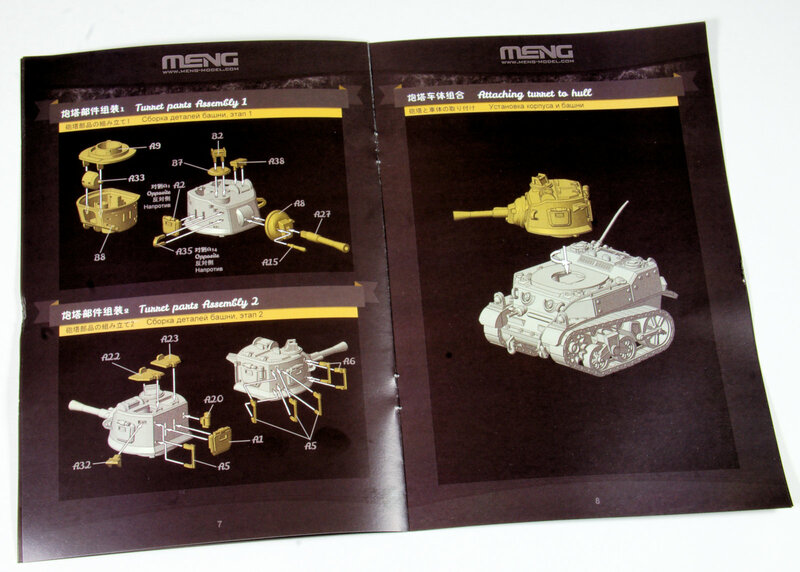 Thanks to Meng Models for sending this kit to us to build and pimp out.